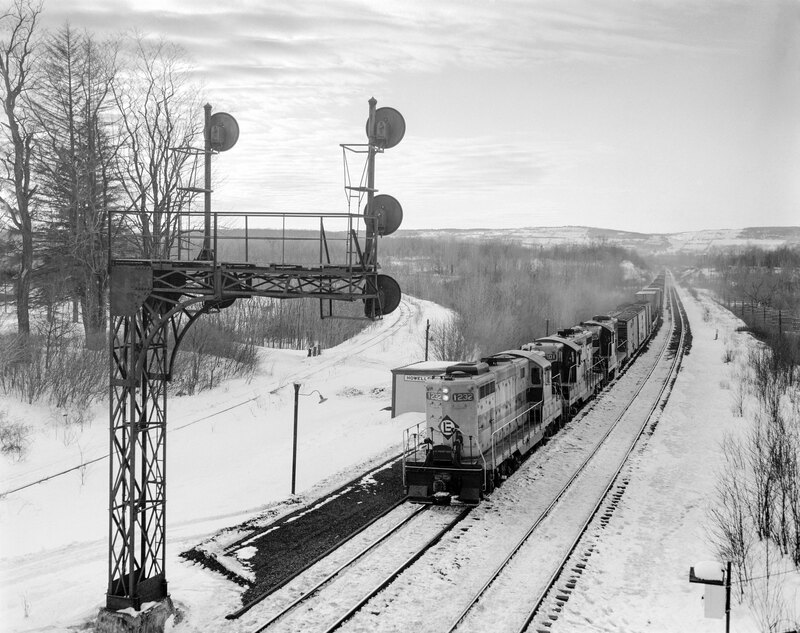 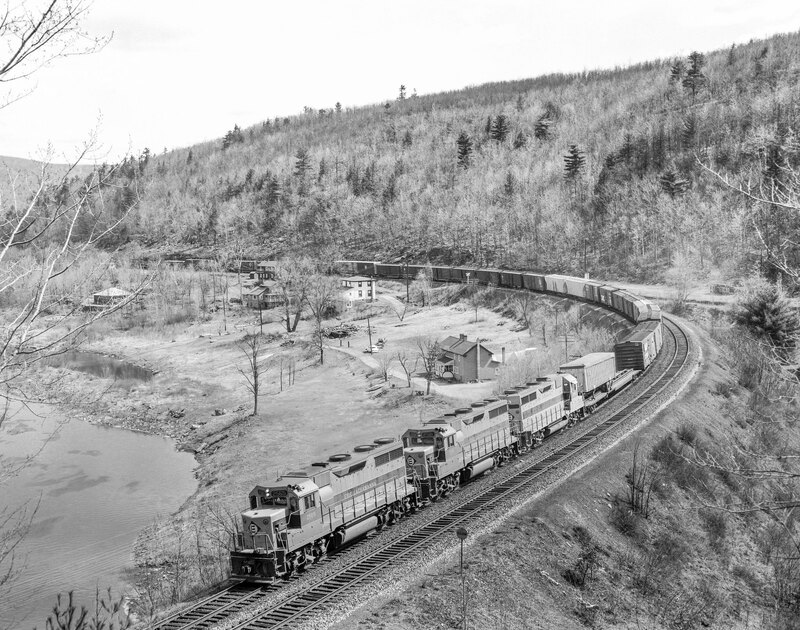 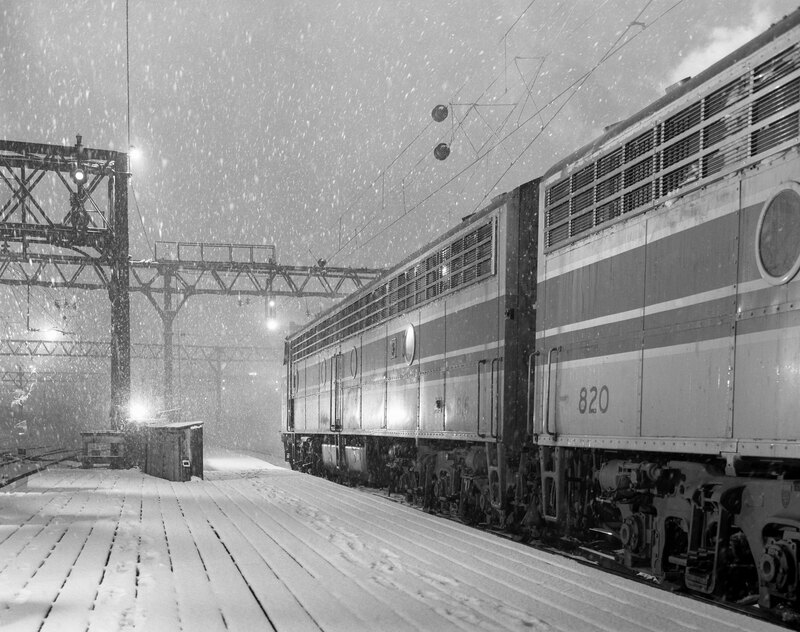 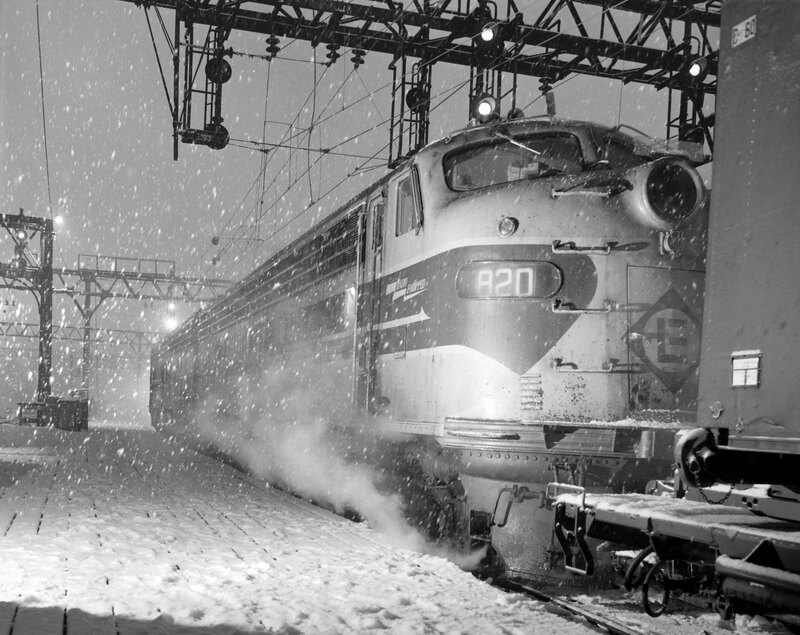 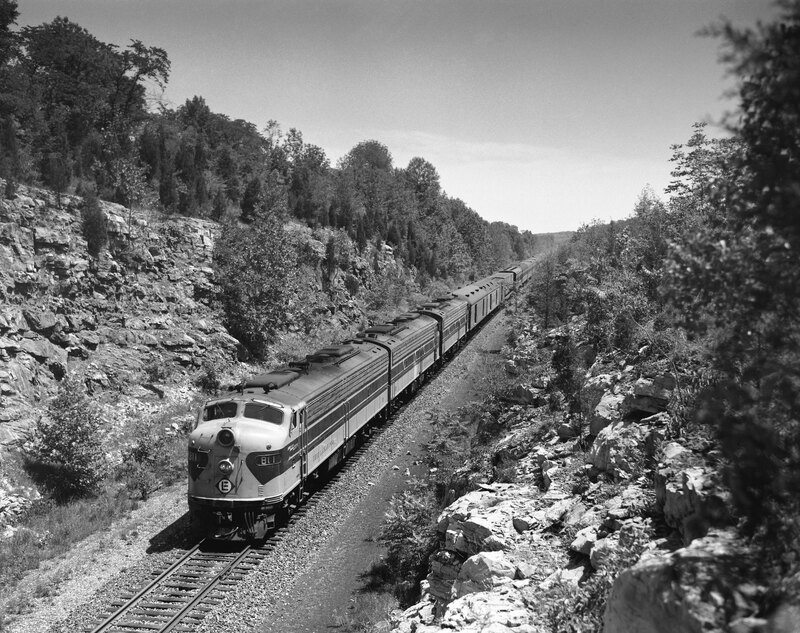 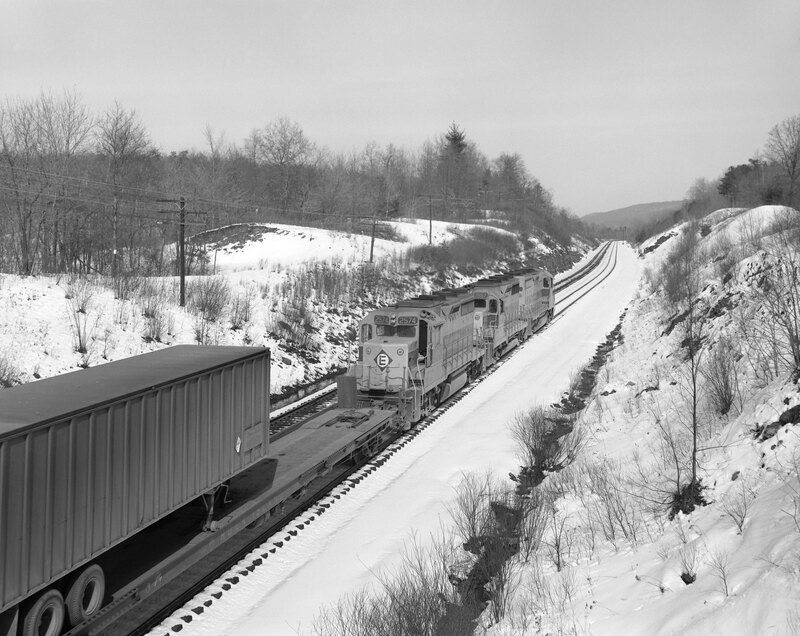 Two Erie Lackawanna Railroad cabooses bring up the rear of a freight train as it rounds a curve near Great Bend, Pennsylvania on Febuary 20, 1965. 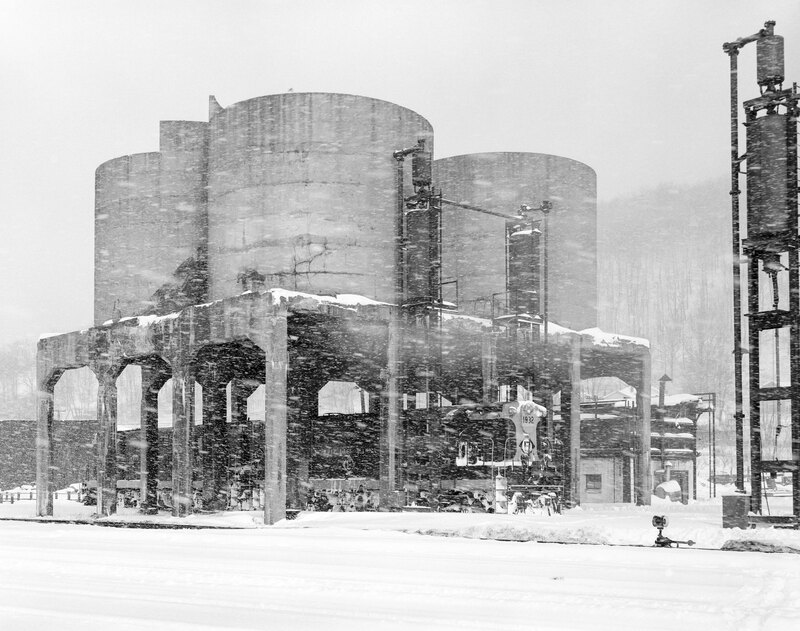 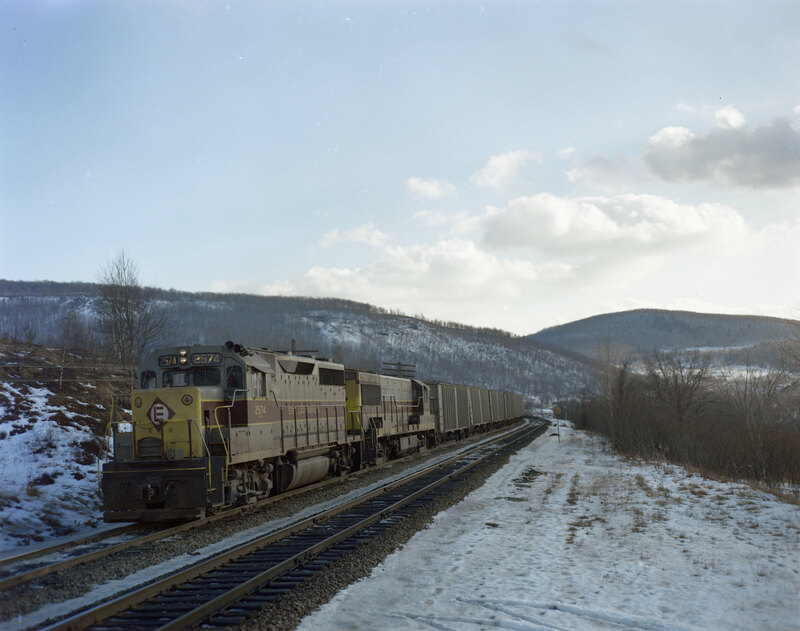 Photograph by Victor Hand. 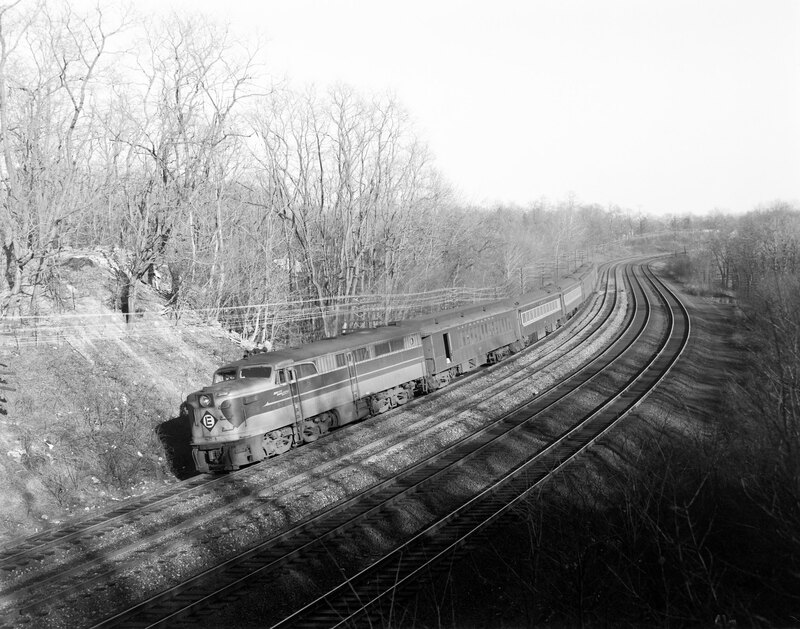 Hand-EL-30-017.JPG. 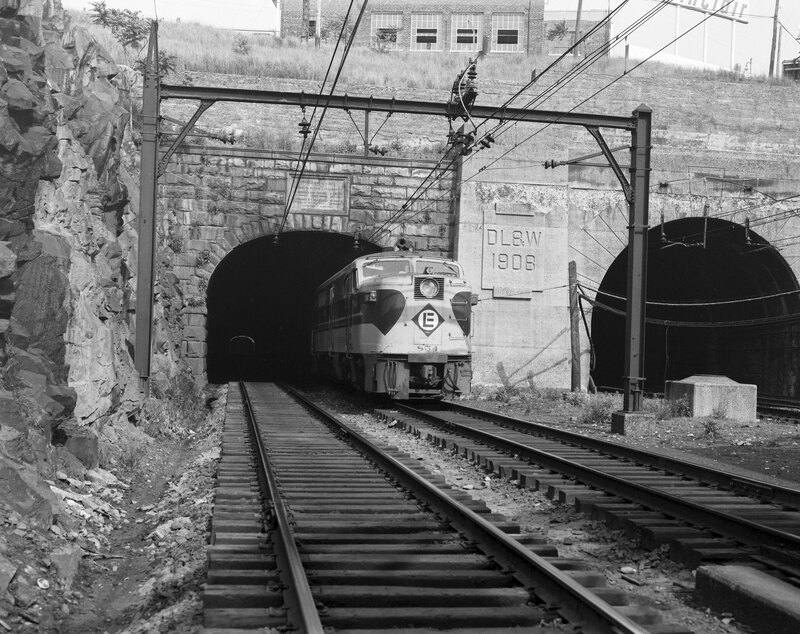 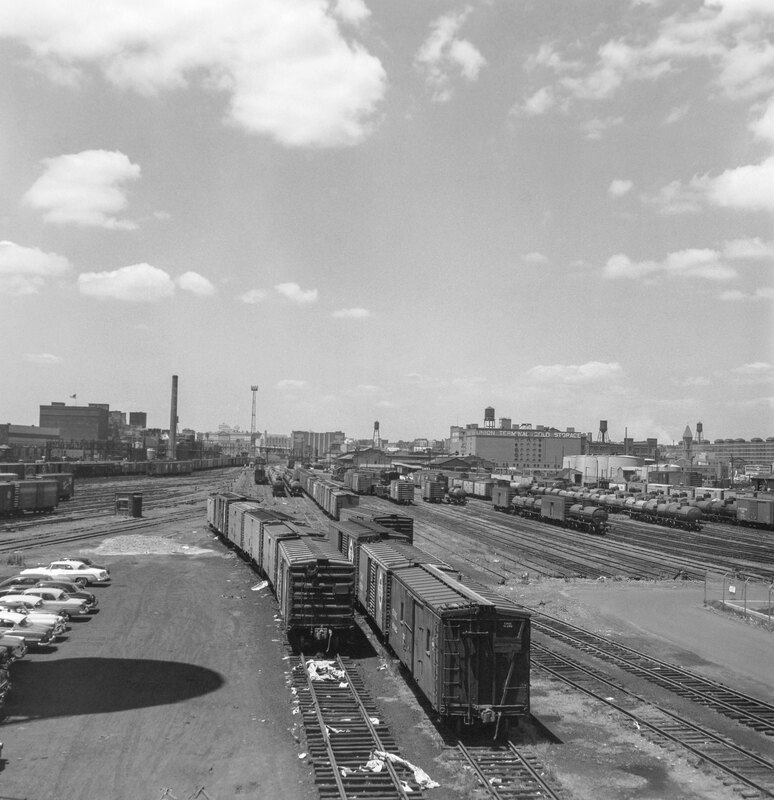 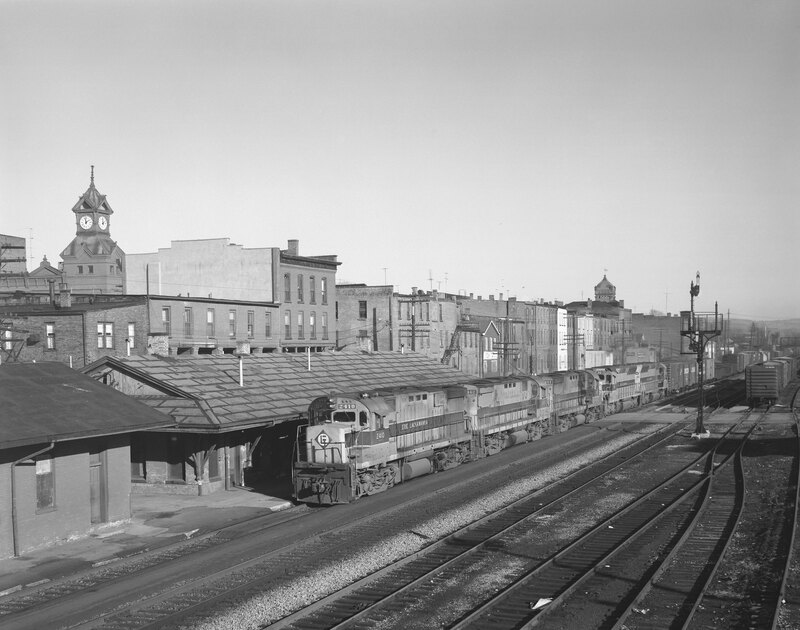 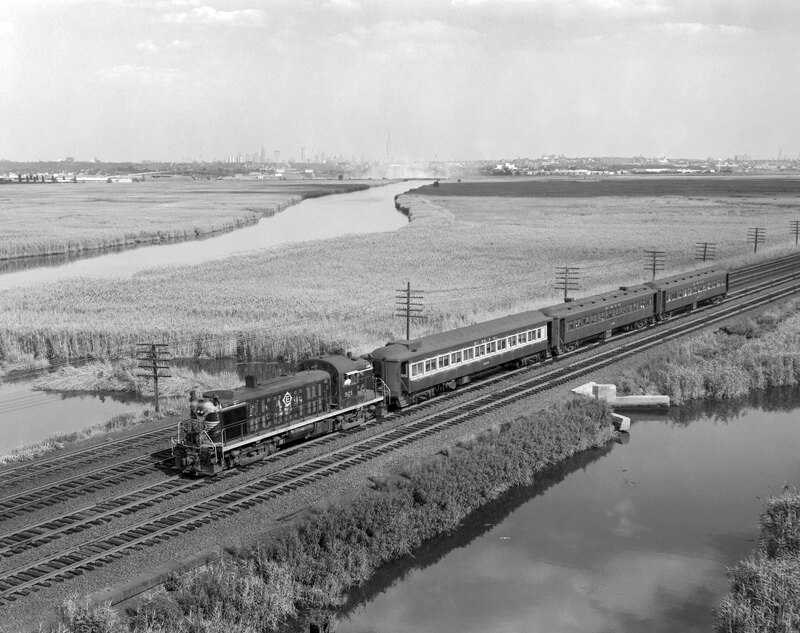 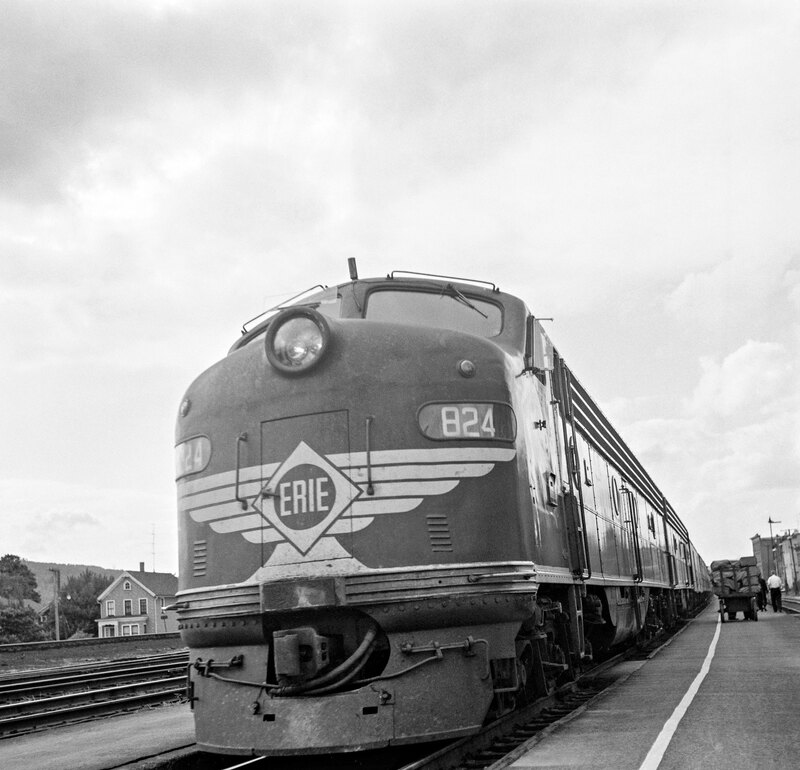 Erie Lackawanna Railroad no. 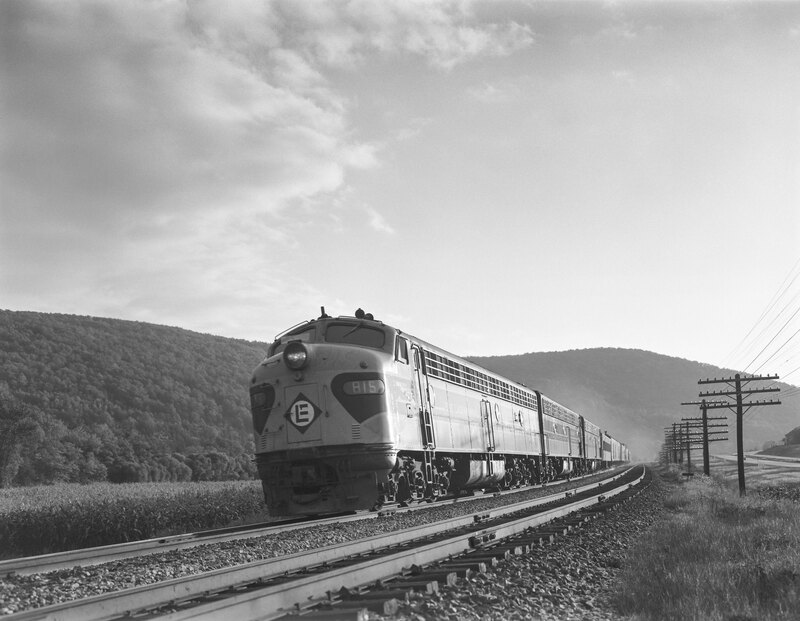 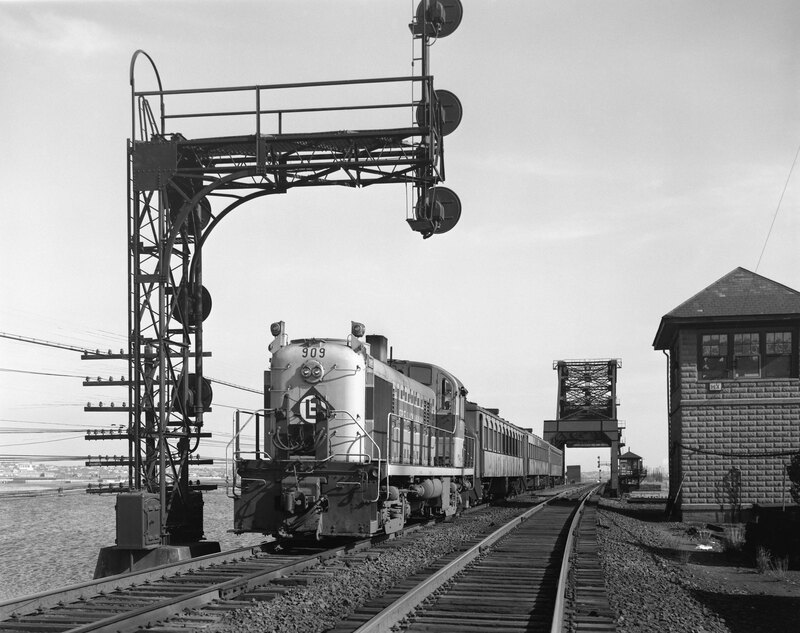 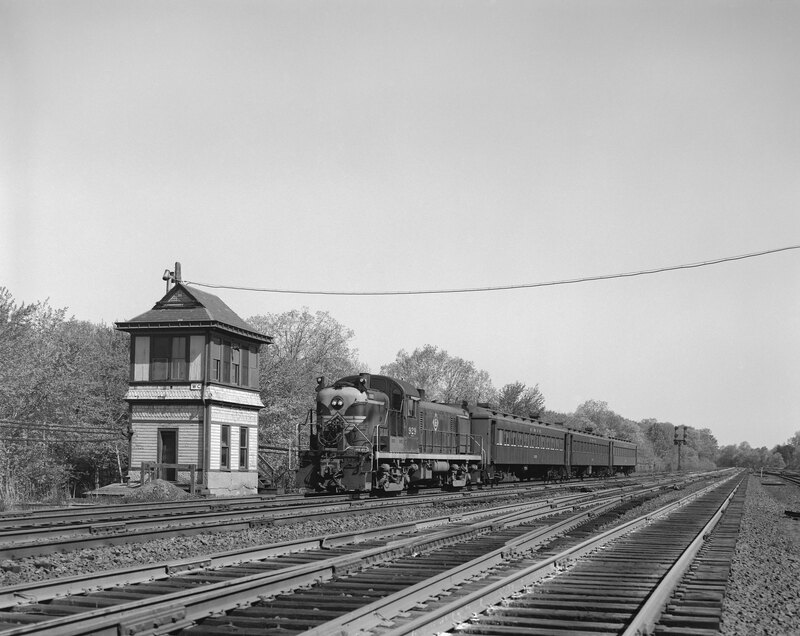 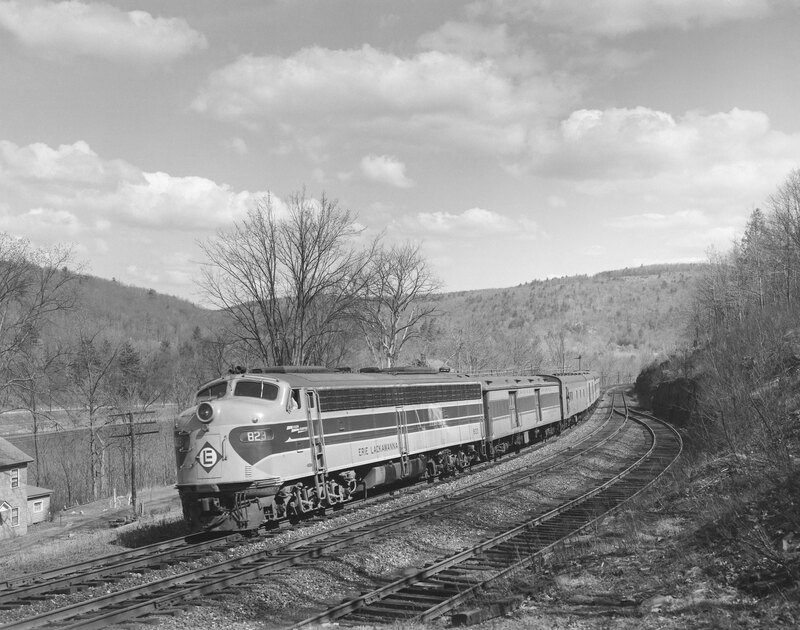 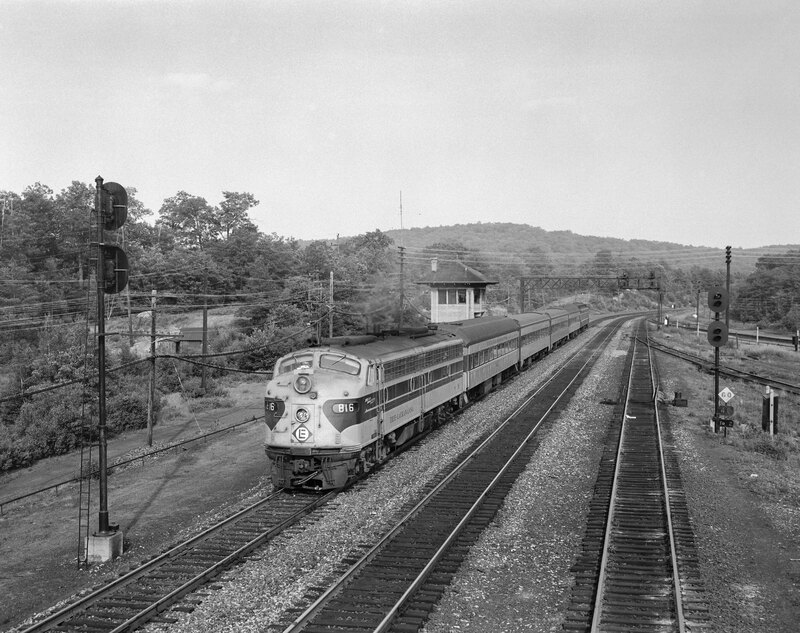 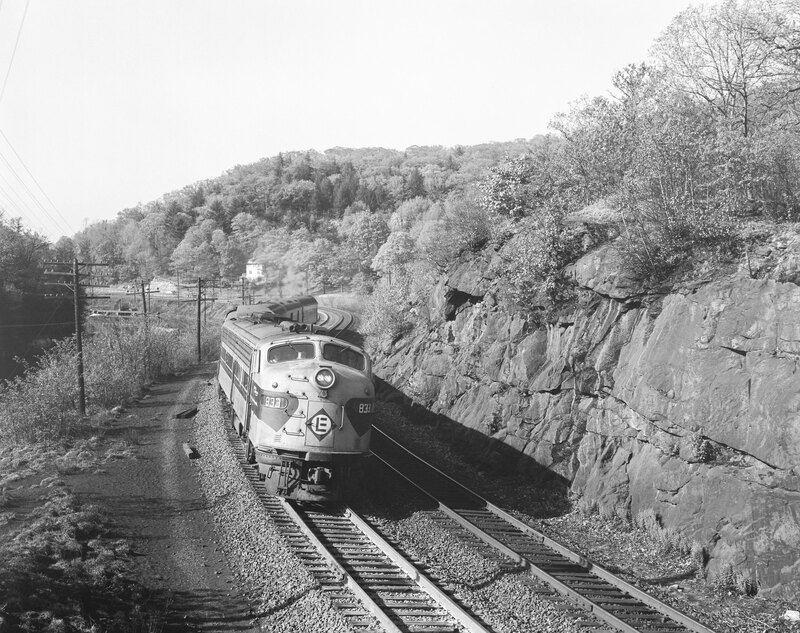 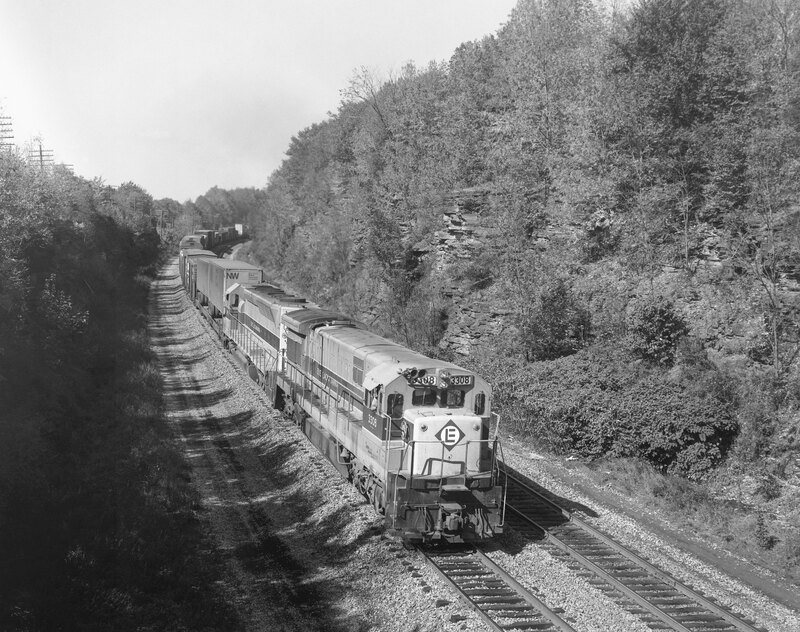 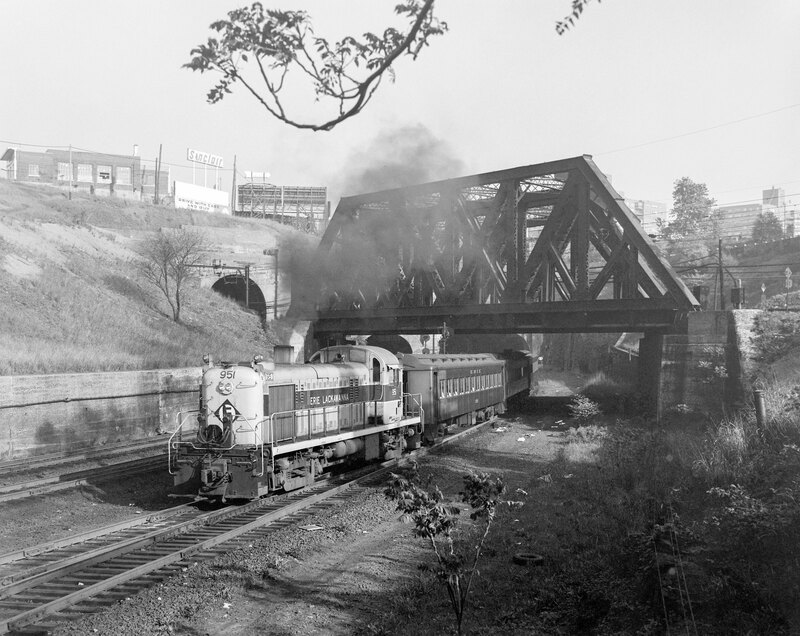 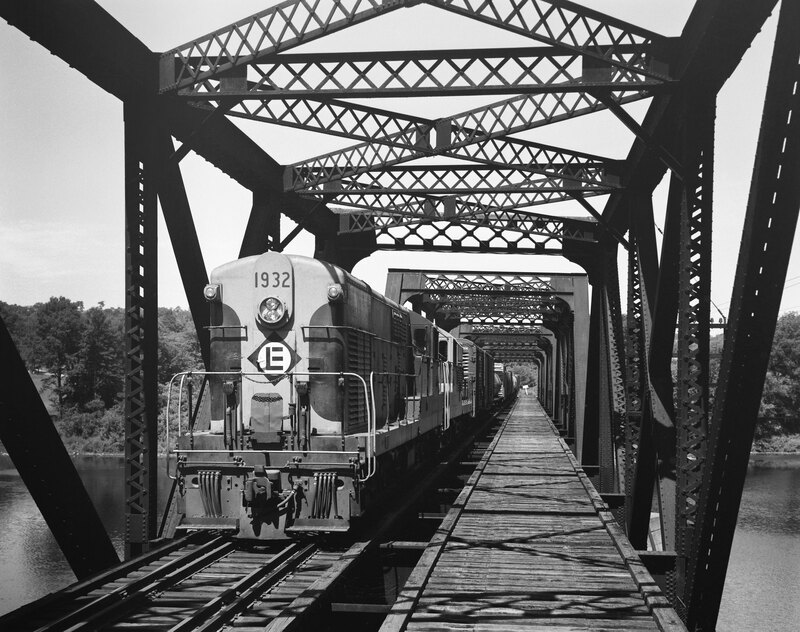 921 leads a Suffern-bound passenger train through Rutherford, New Jersey, on July 20, 1965. 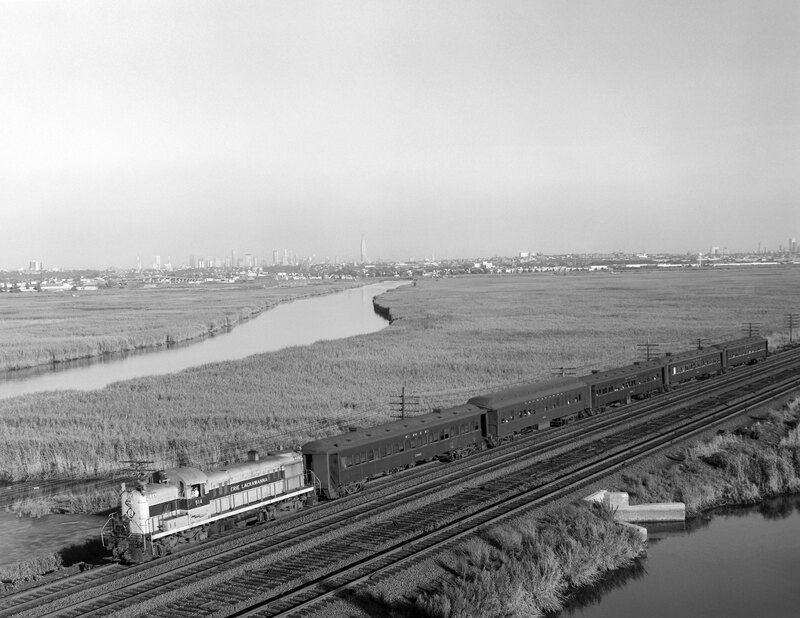 The Manhattan skyline and the Empire State Building are visible on the horizon. 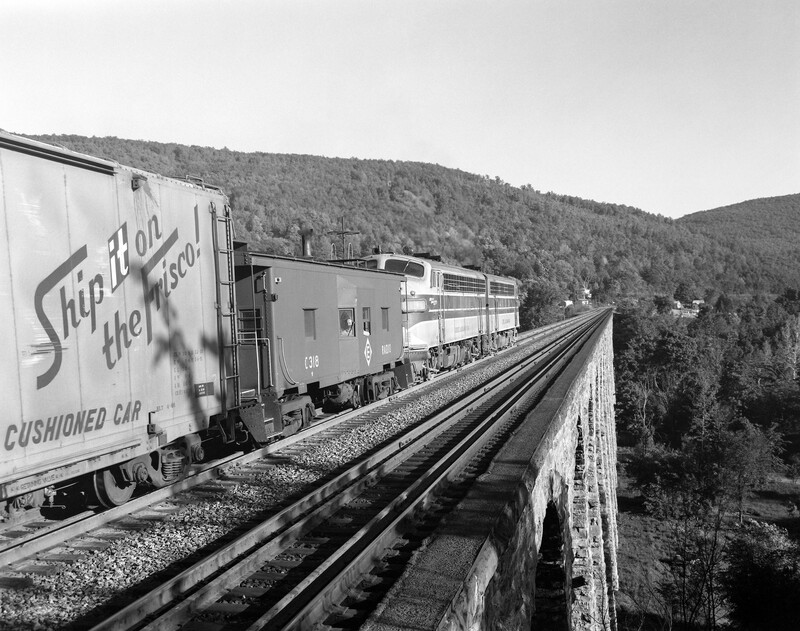 Photograph by Victor Hand. 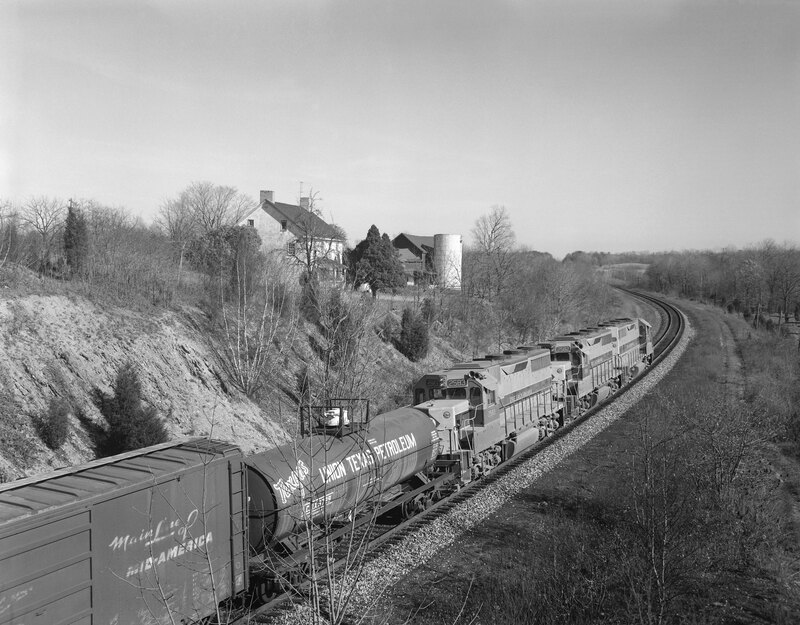 Hand-EL-30-062.JPG. 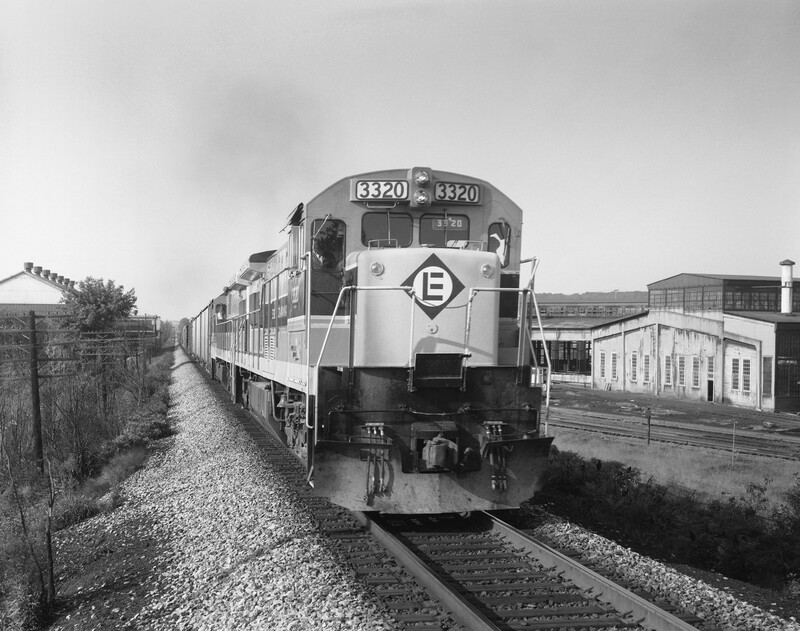 Erie Lackawanna Railroad diesel locomotive no. 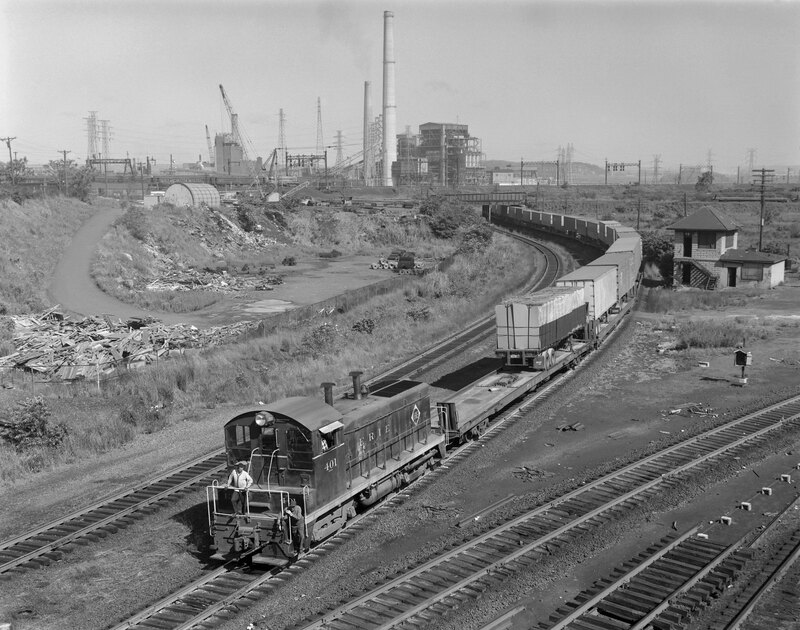 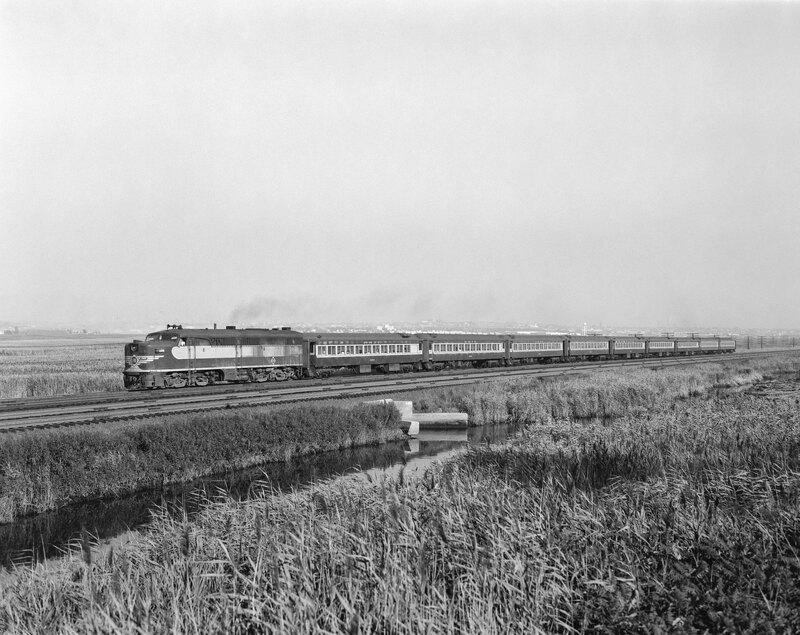 862 leads passenger train no. 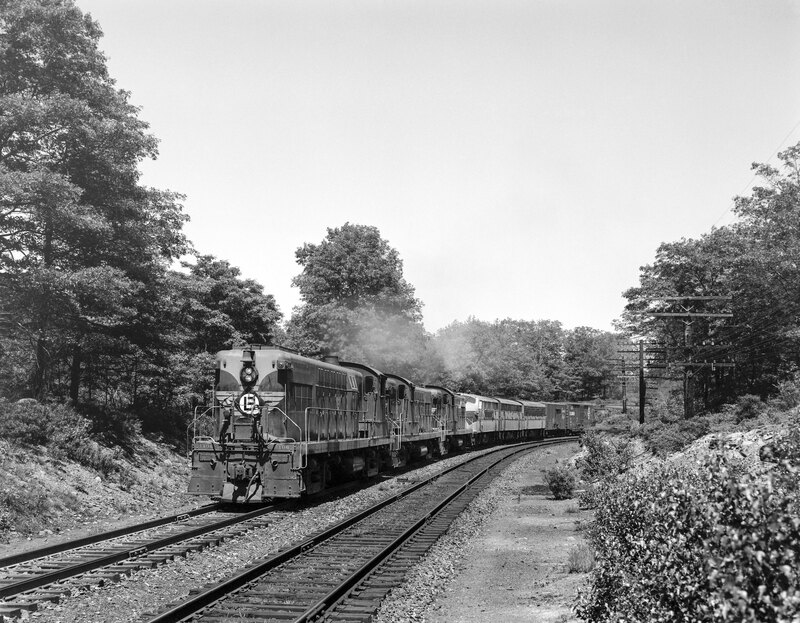 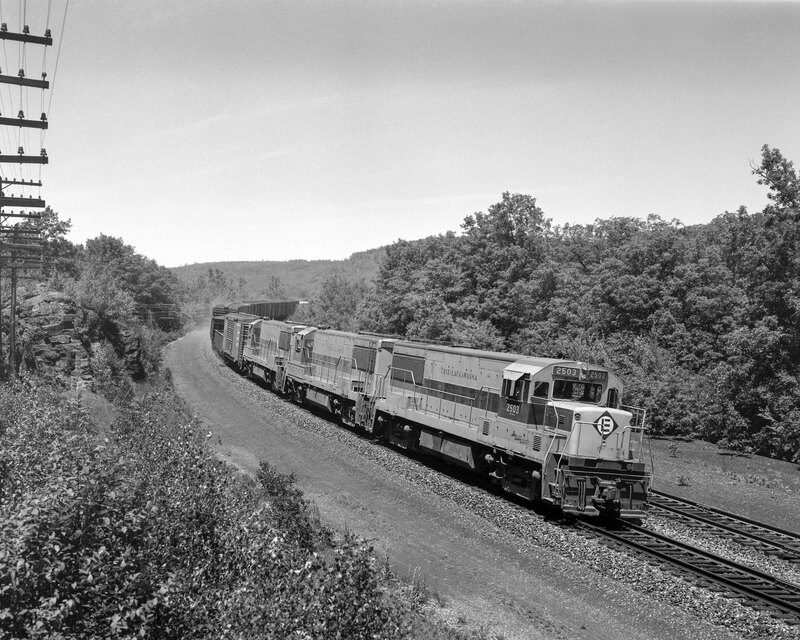 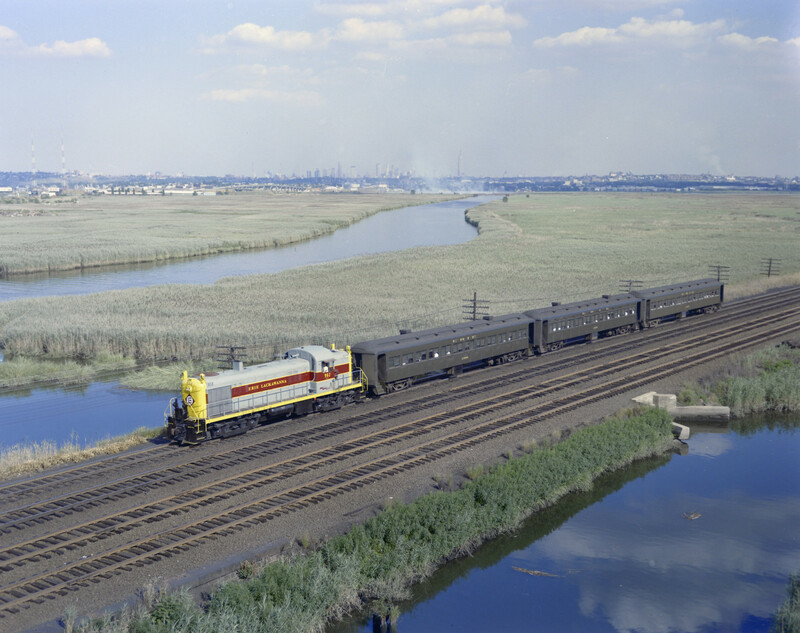 59 near Rutherford, New Jersey on July 21, 1965; Photograph by Victor Hand. 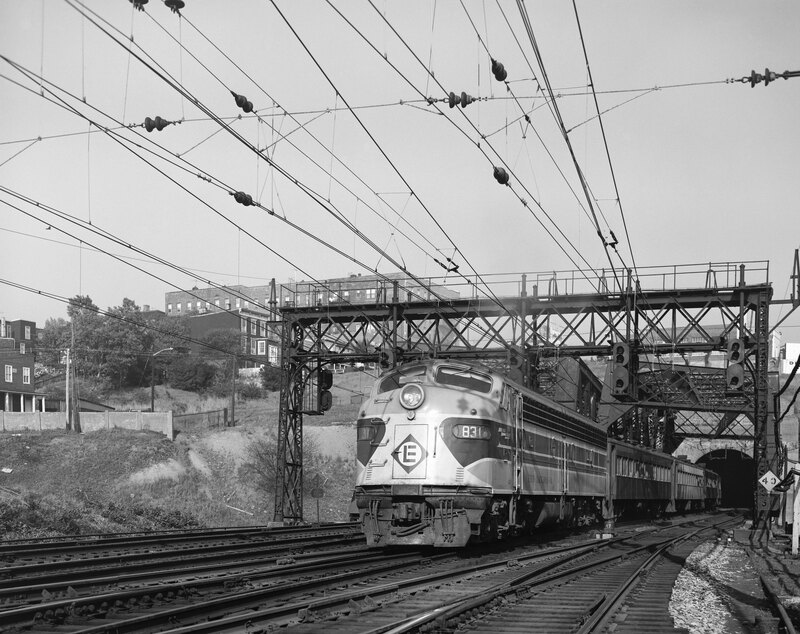 Hand-EL-30-068.JPG. 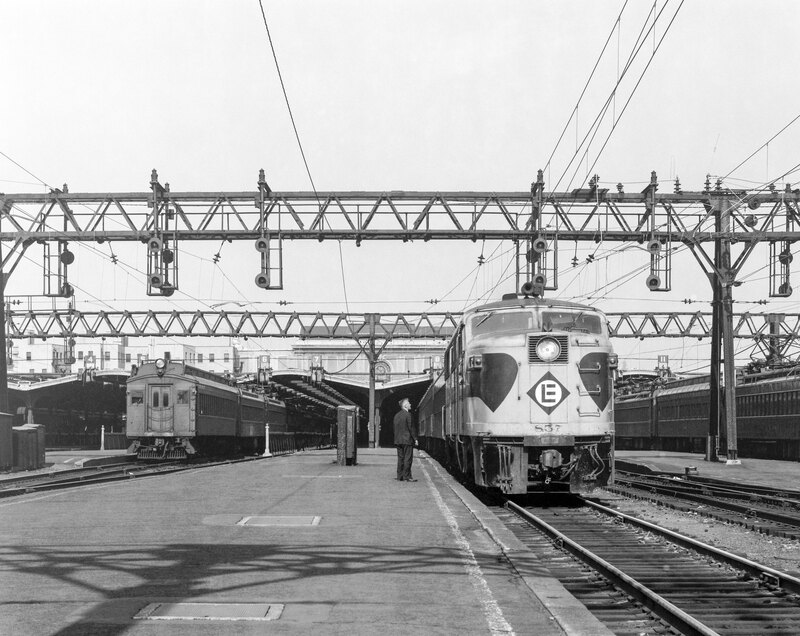 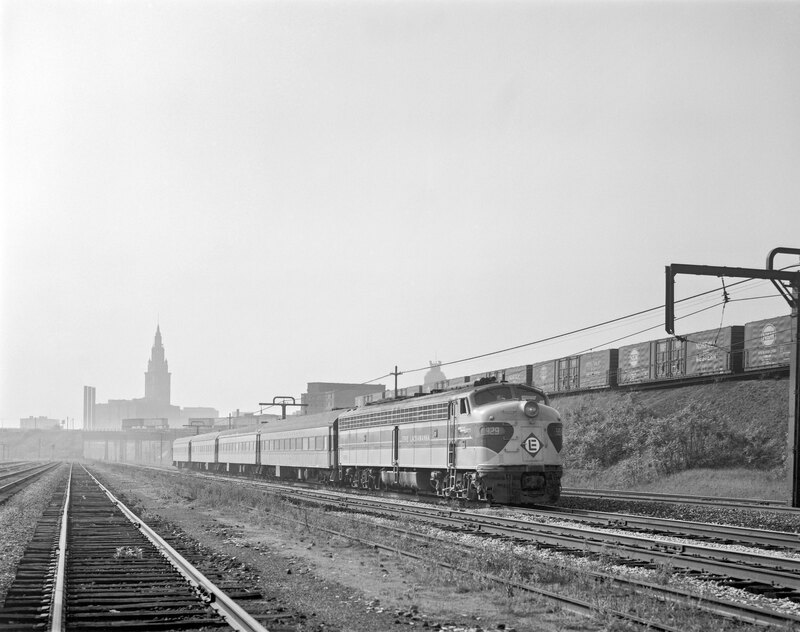 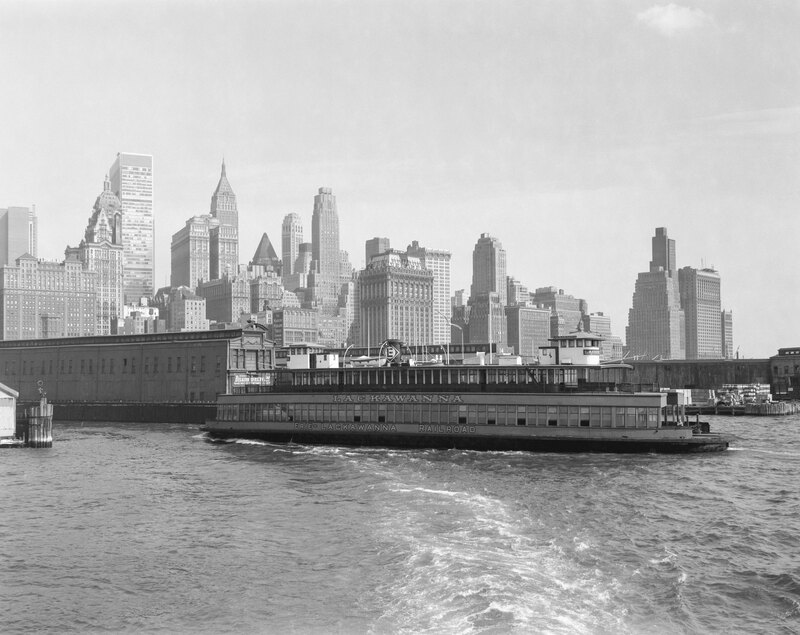 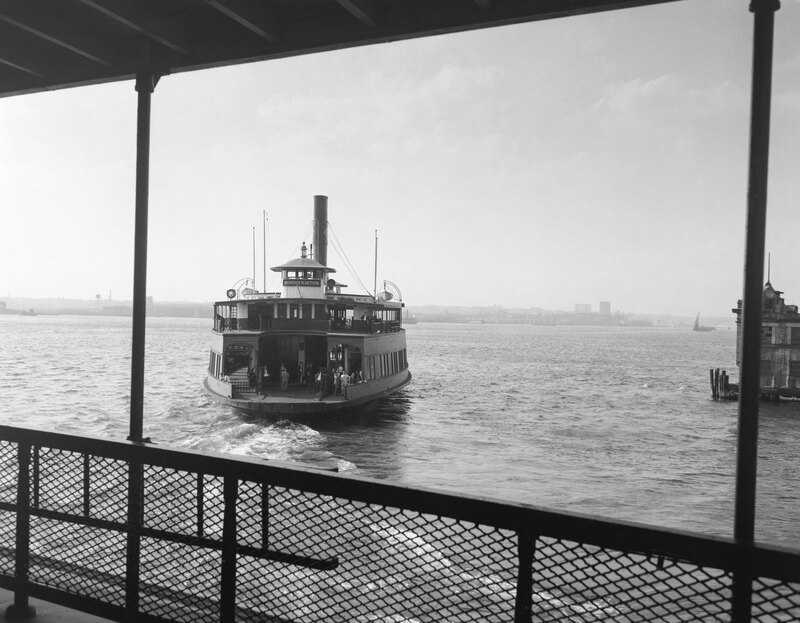 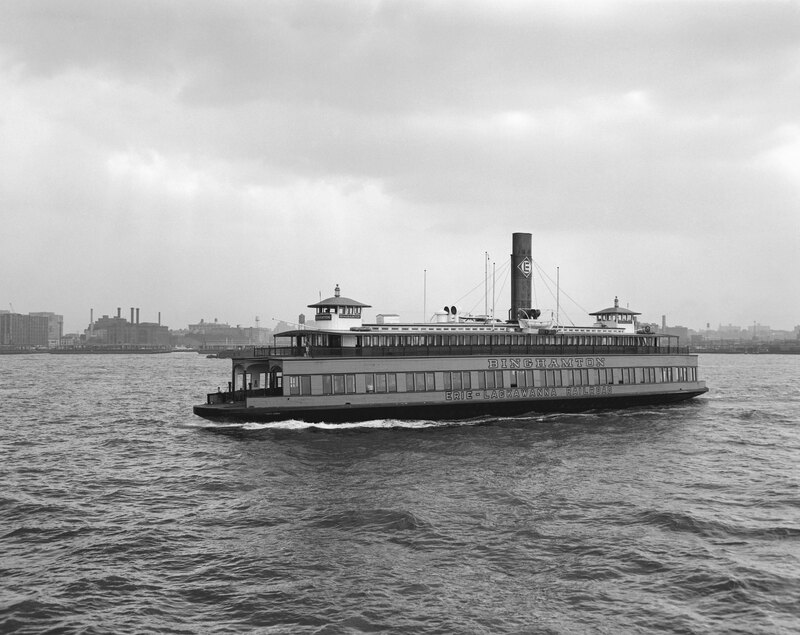 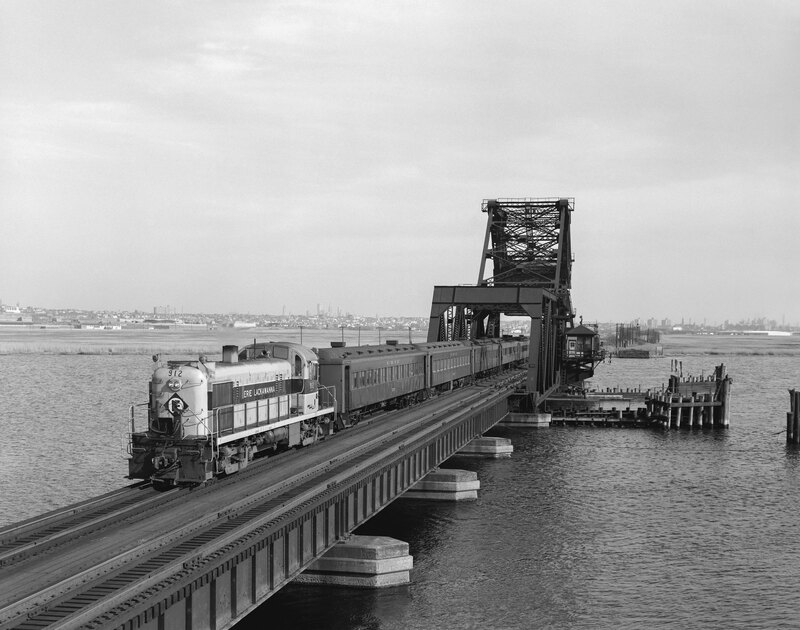 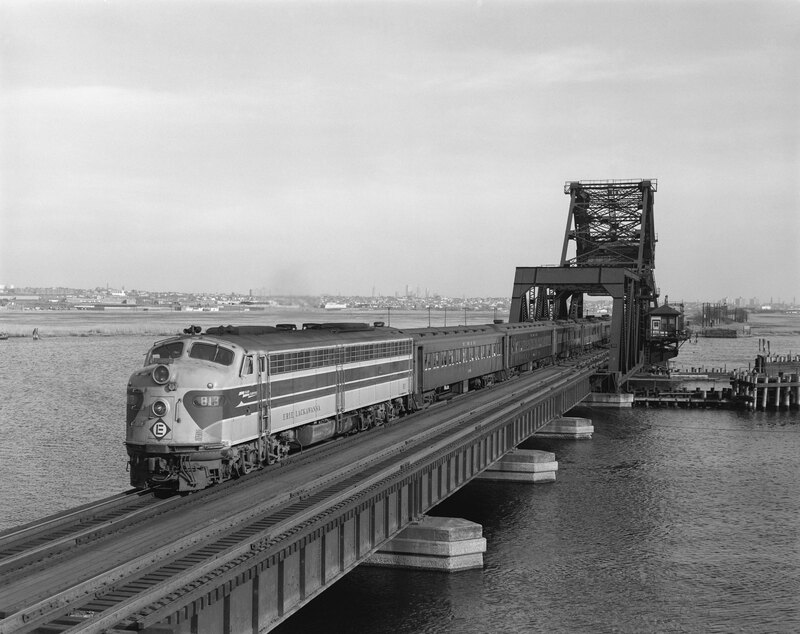 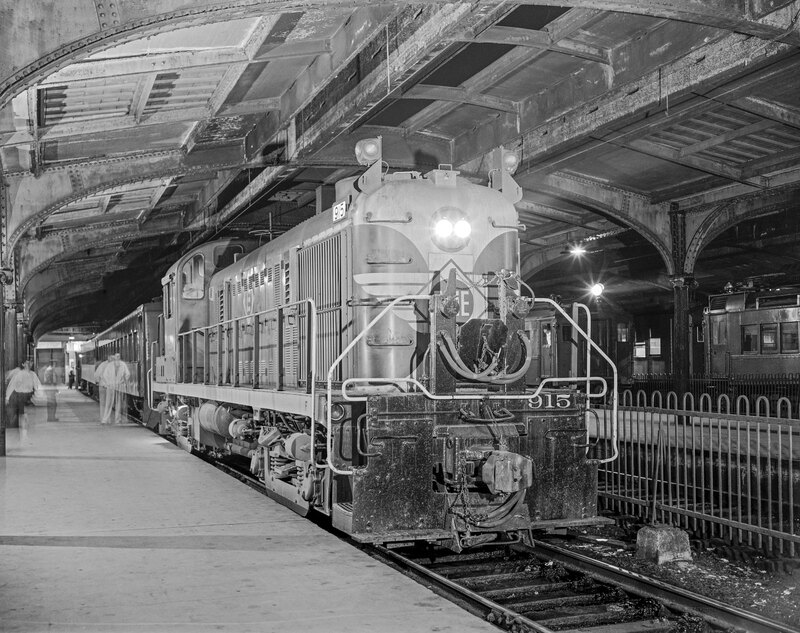 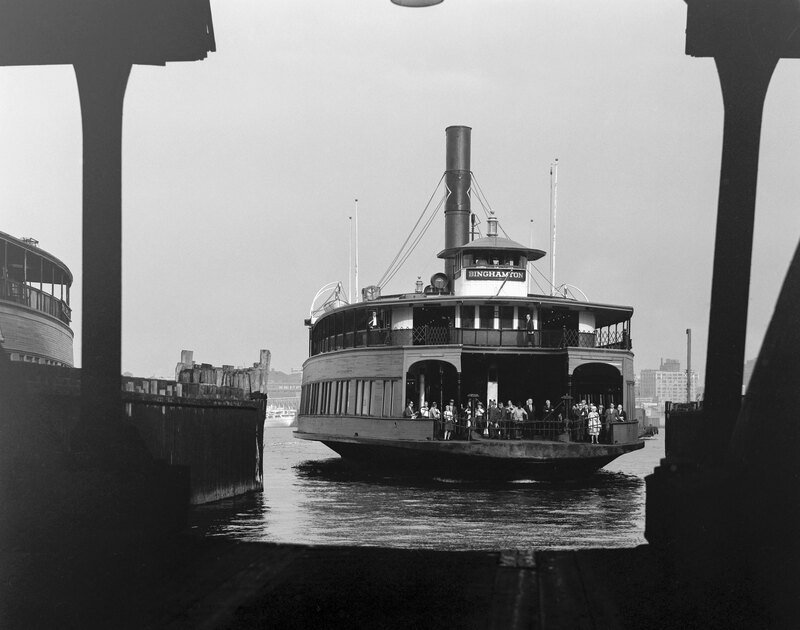 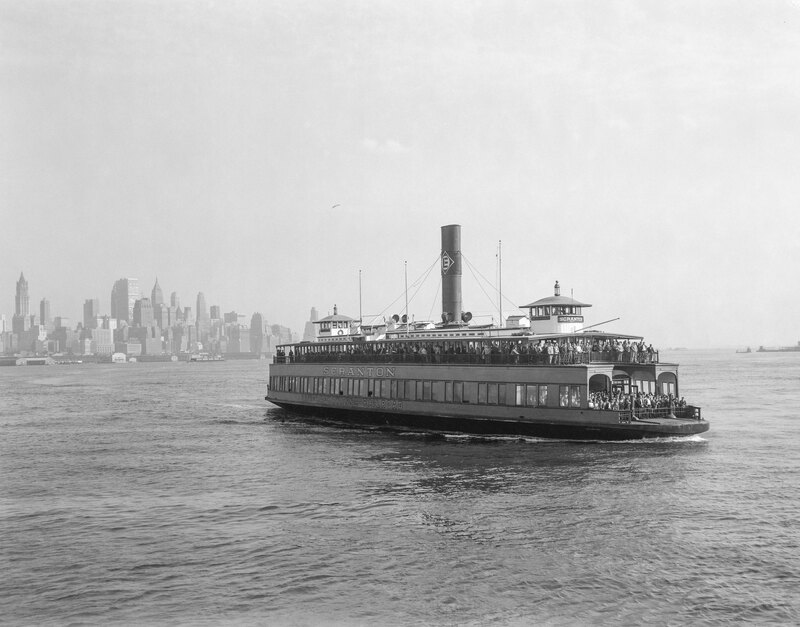 Erie Lackawanna Railroad ferryboat "Binghamton" at Hoboken Terminal in Hoboken, New Jersey, on July 28, 1965. 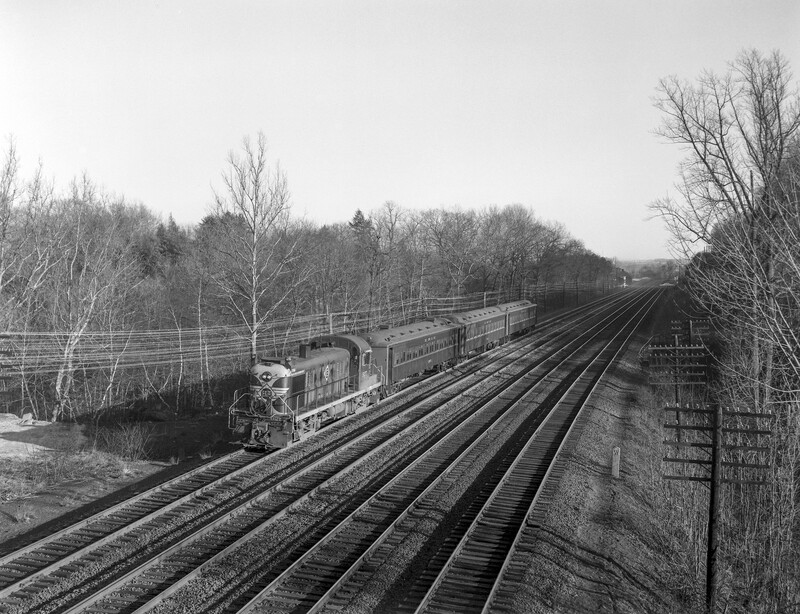 Photograph by Victor Hand. 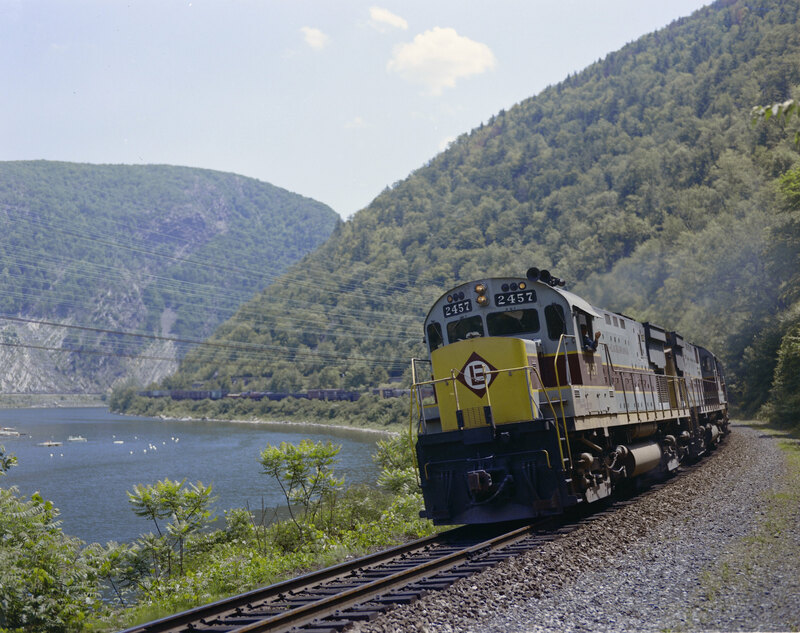 Hand-EL-30-069.JPG. 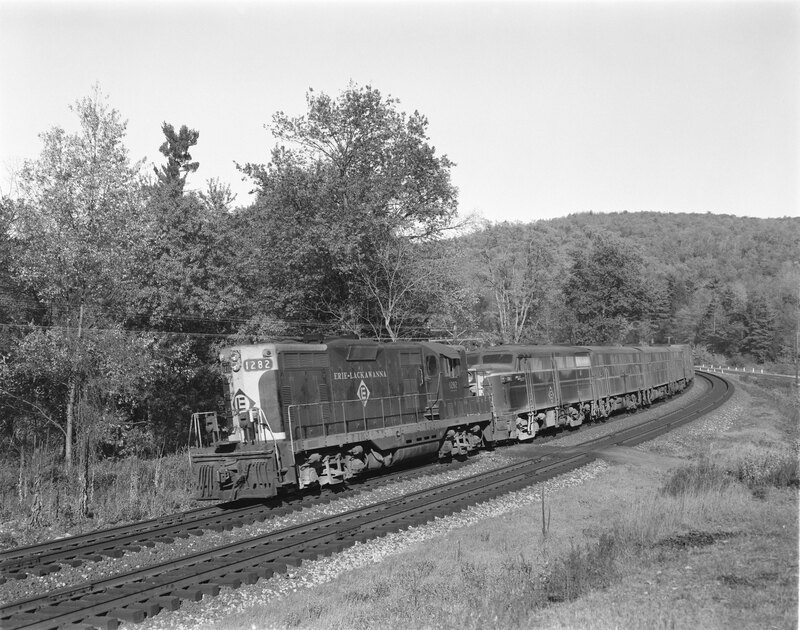 Erie Lackawanna Railway diesel locomotive no. 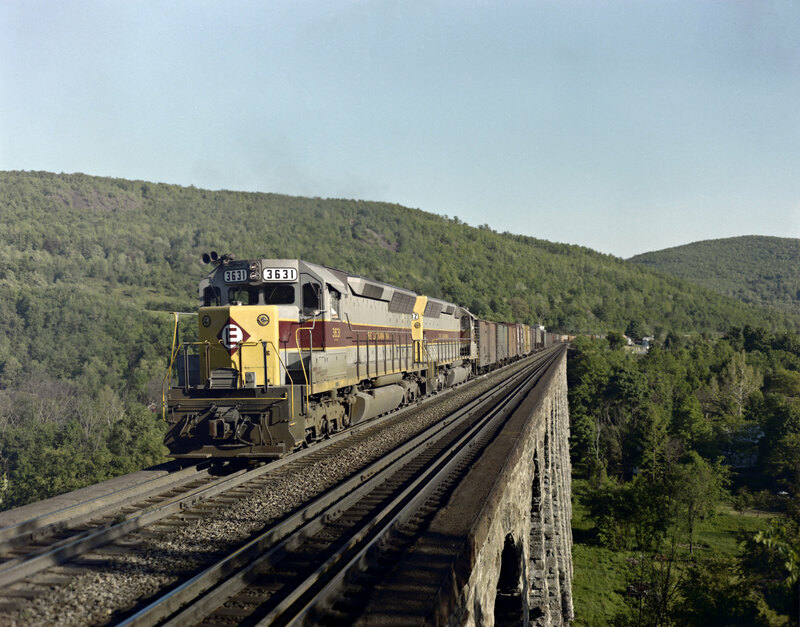 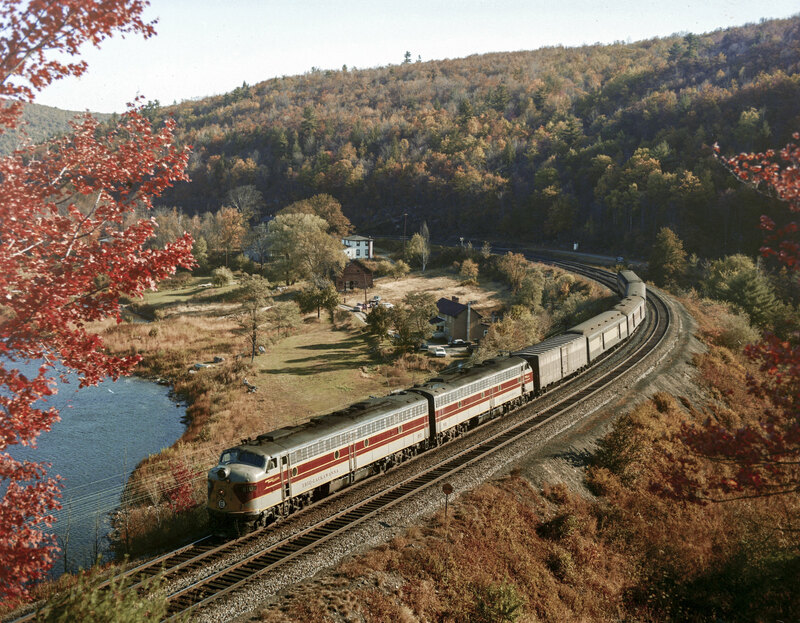 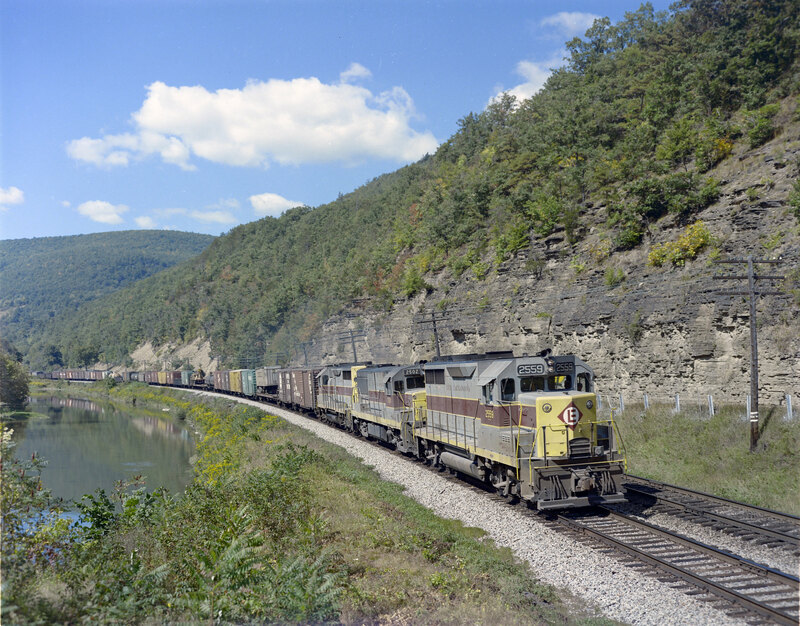 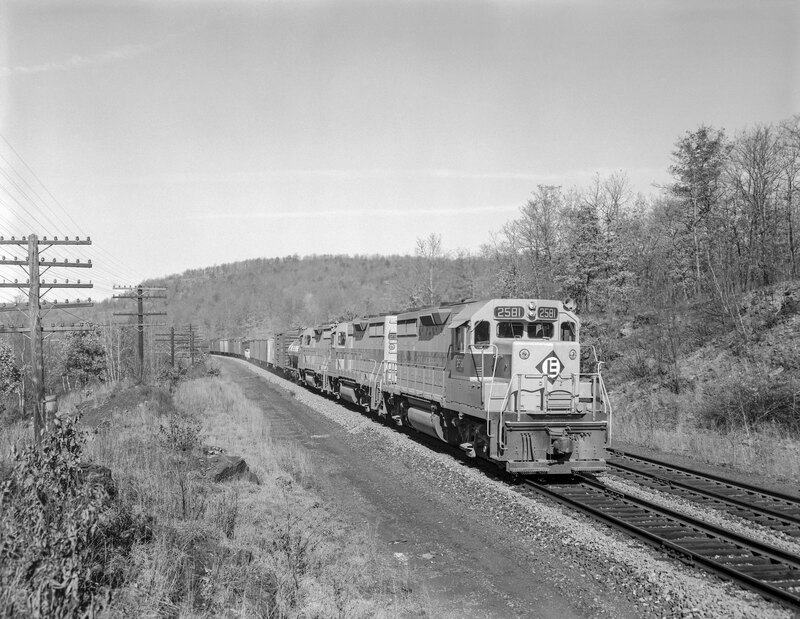 3674, hauls freight (pool train with Central Railway of New Jersey) at Gouldsboro, Pennsylvania, on October 26, 1974; Photograph by Victor Hand. 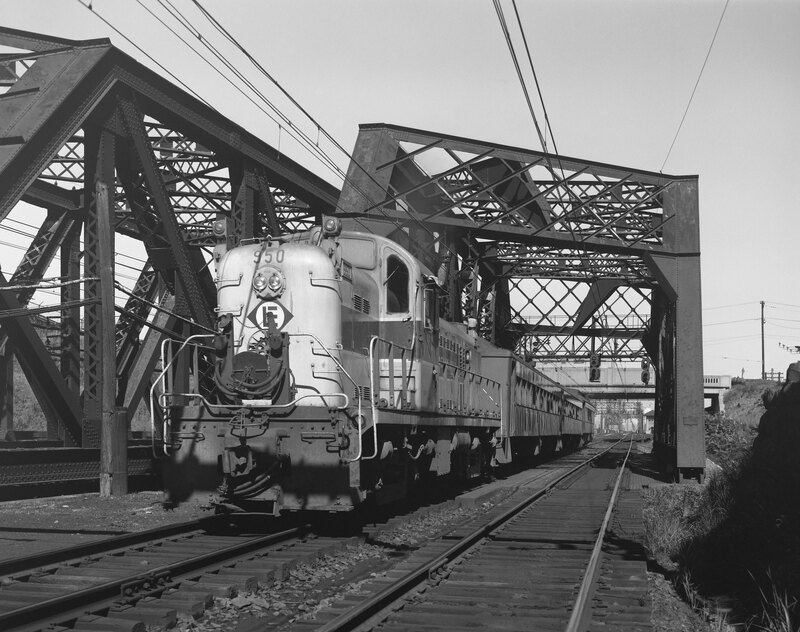 Hand-EL-30-181. 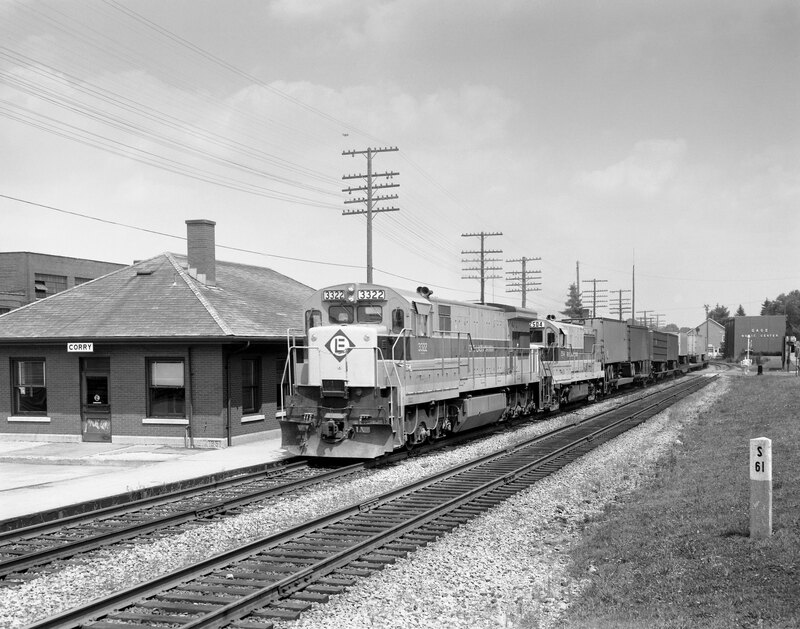 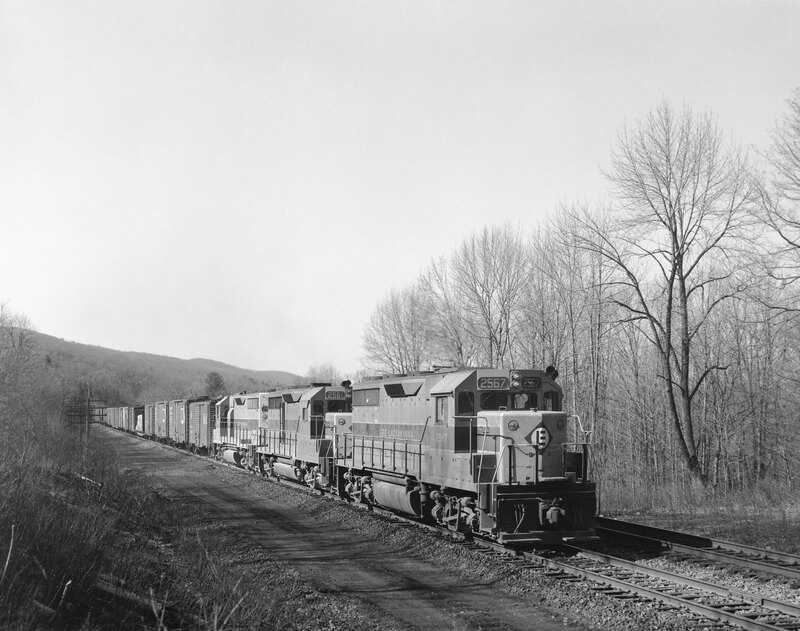 Erie Railroad diesel locomotive no. 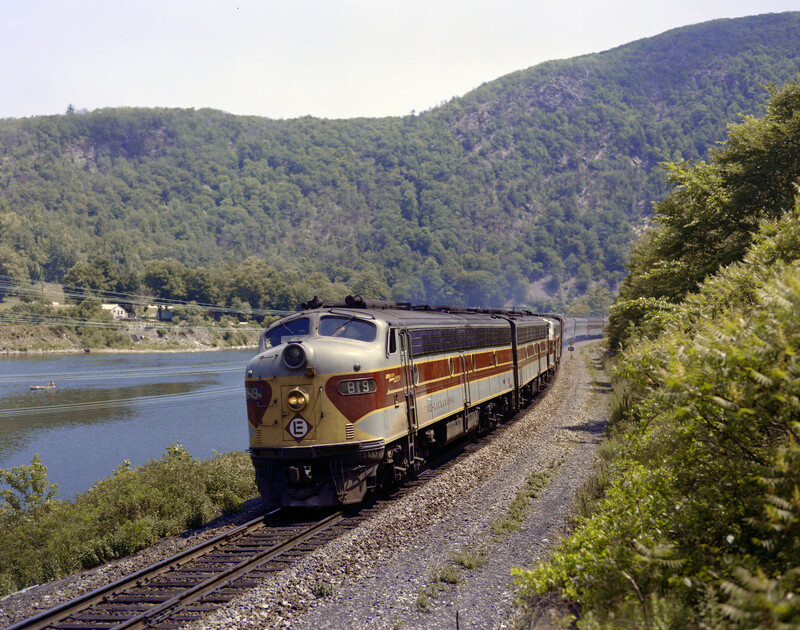 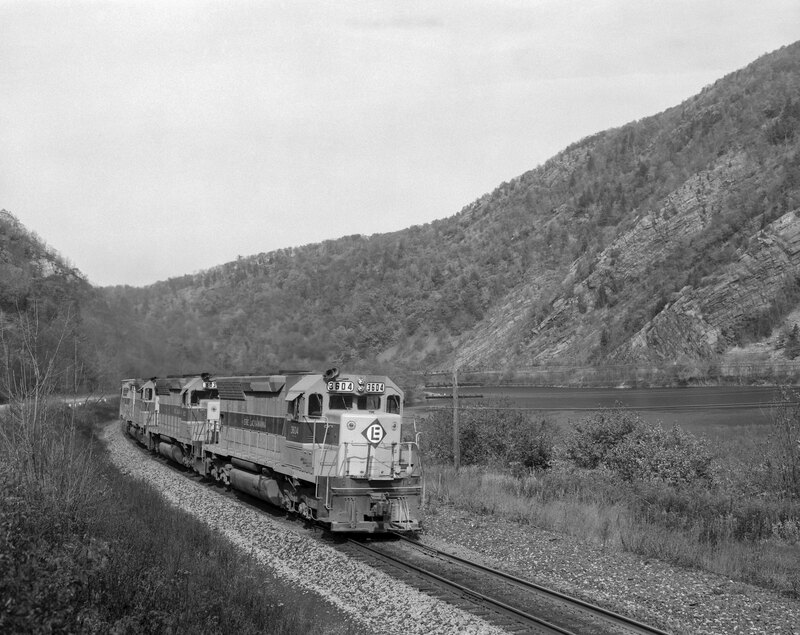 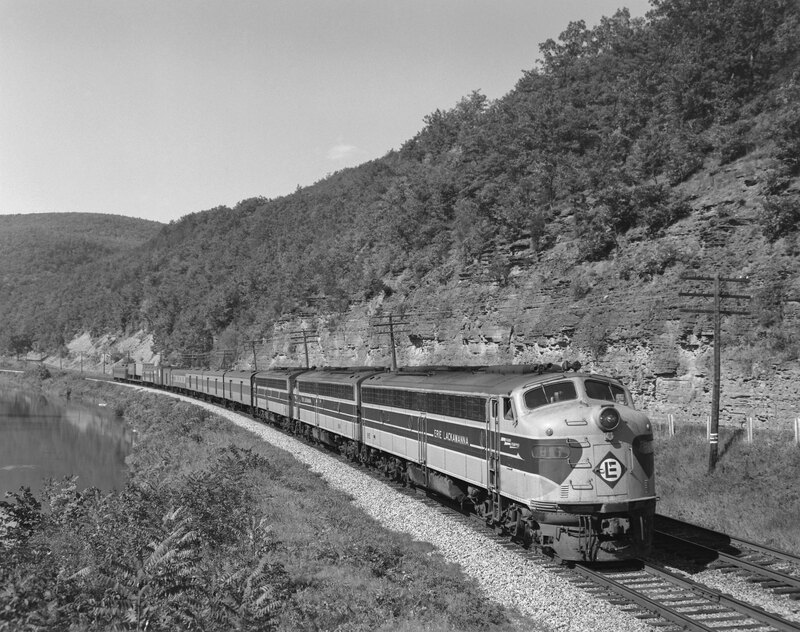 824 at Port Jervis, New York, in June of 1957; Photograph by Victor Hand. 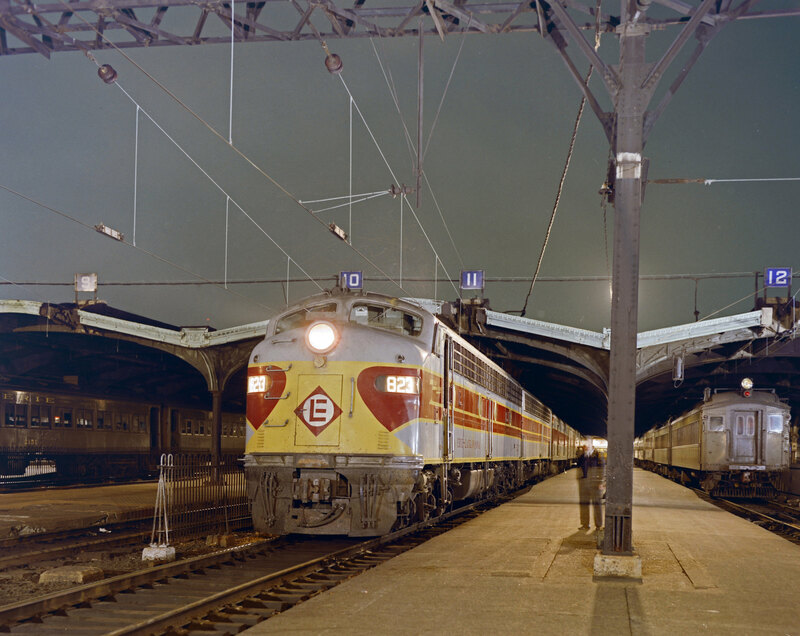 Hand-EL-X30-005. 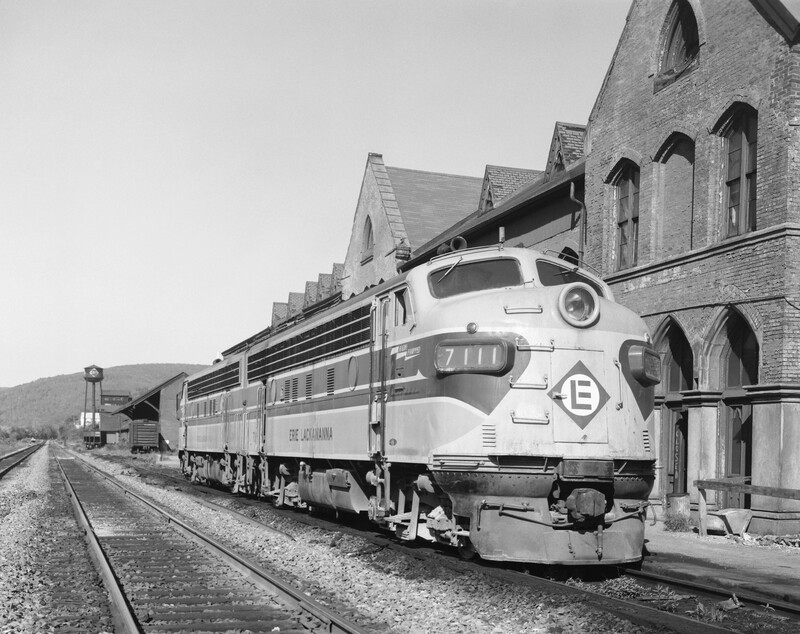 Erie Lackawanna diesel locomotive no. 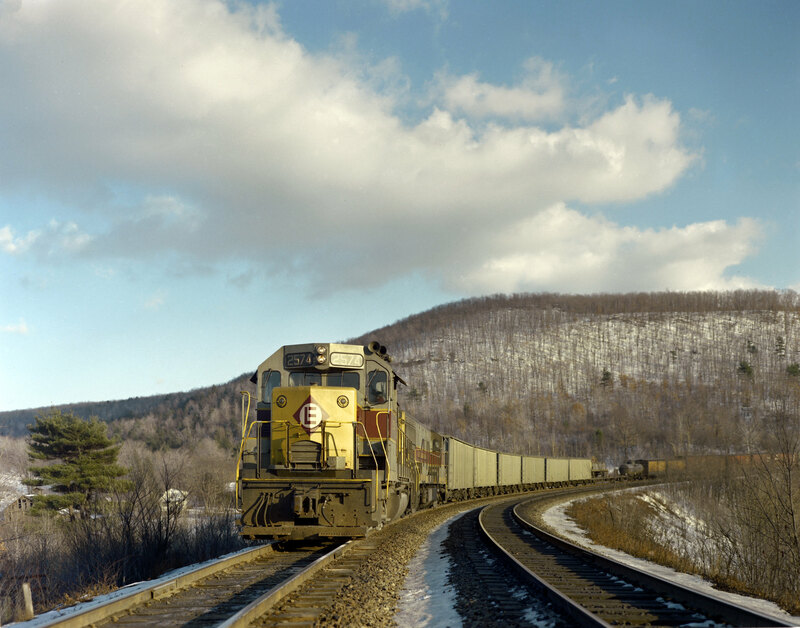 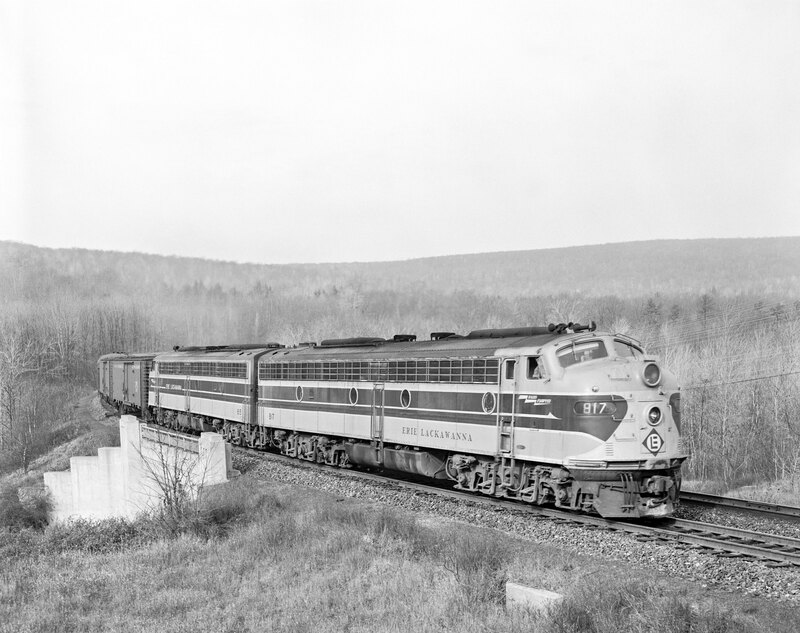 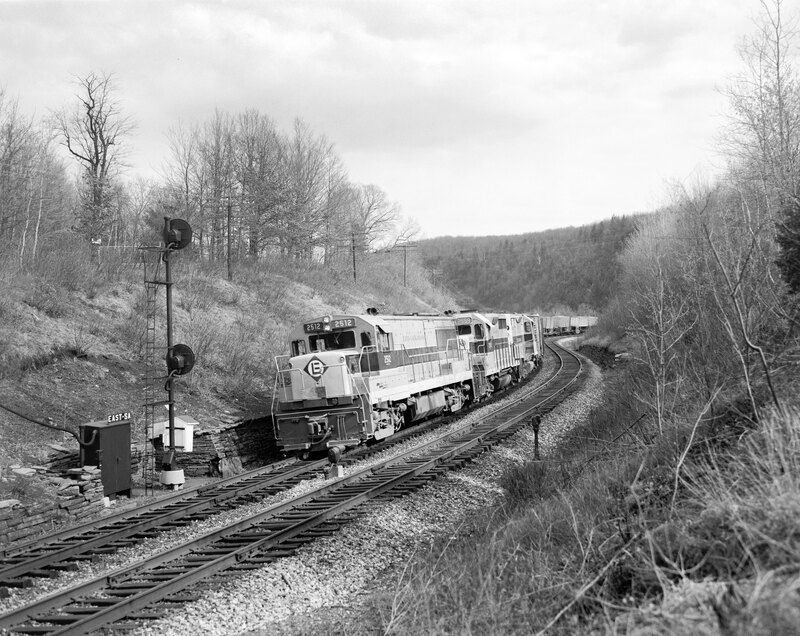 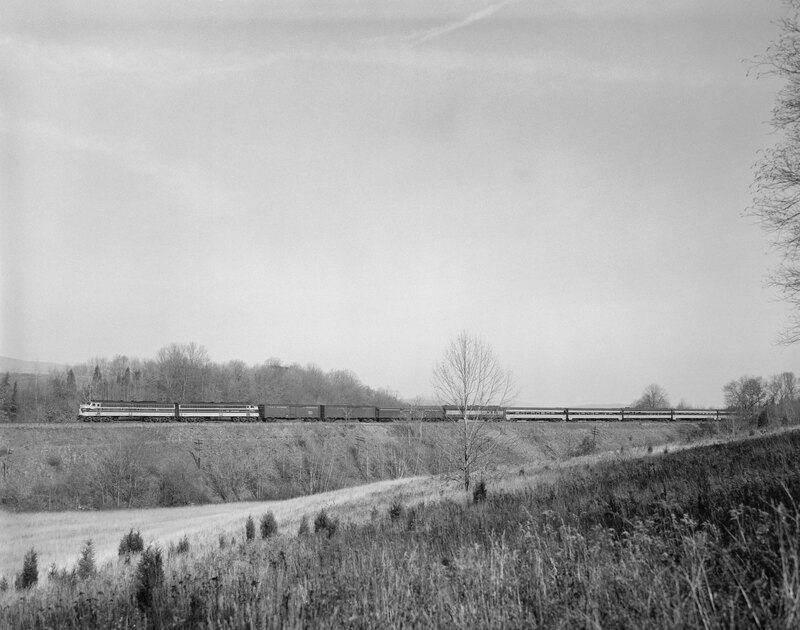 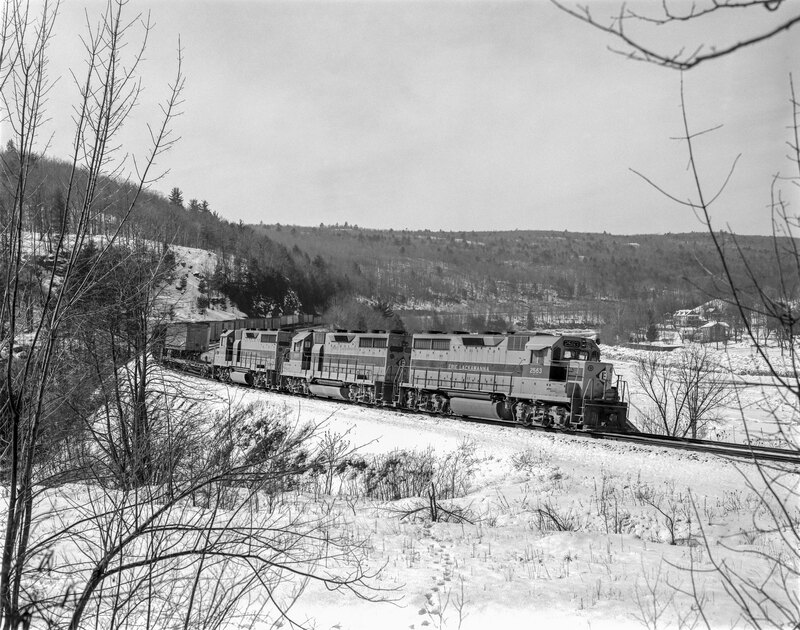 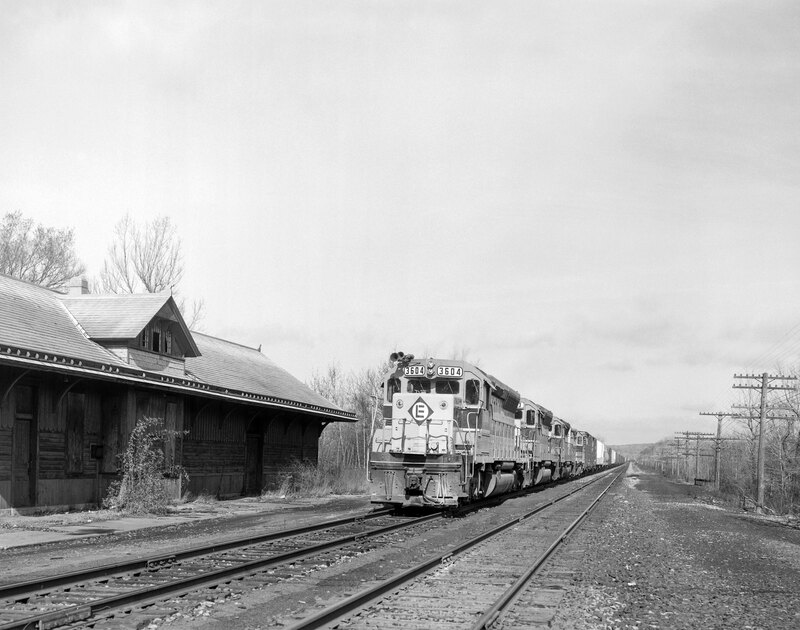 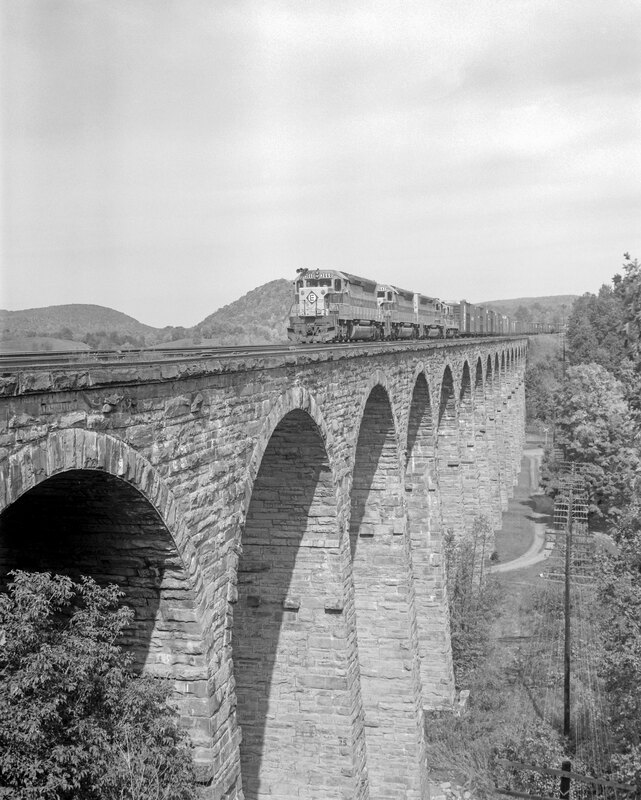 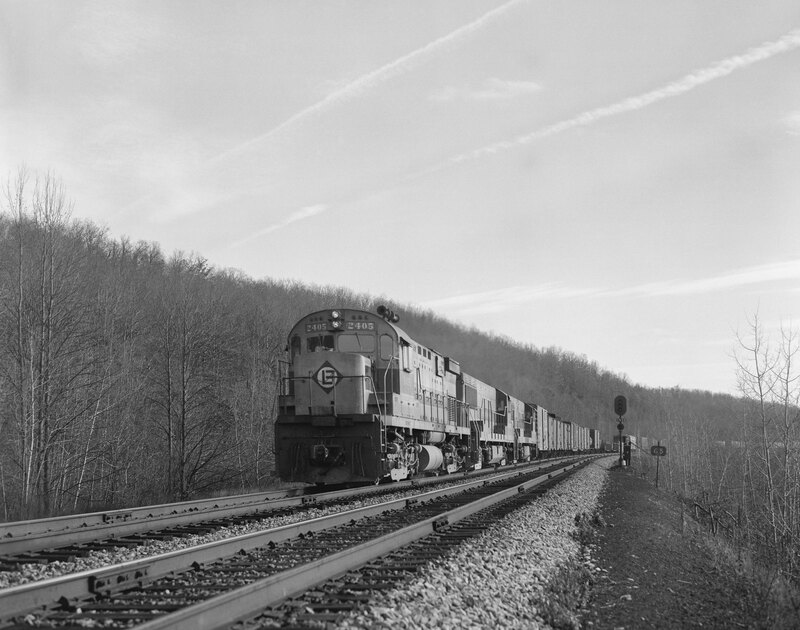 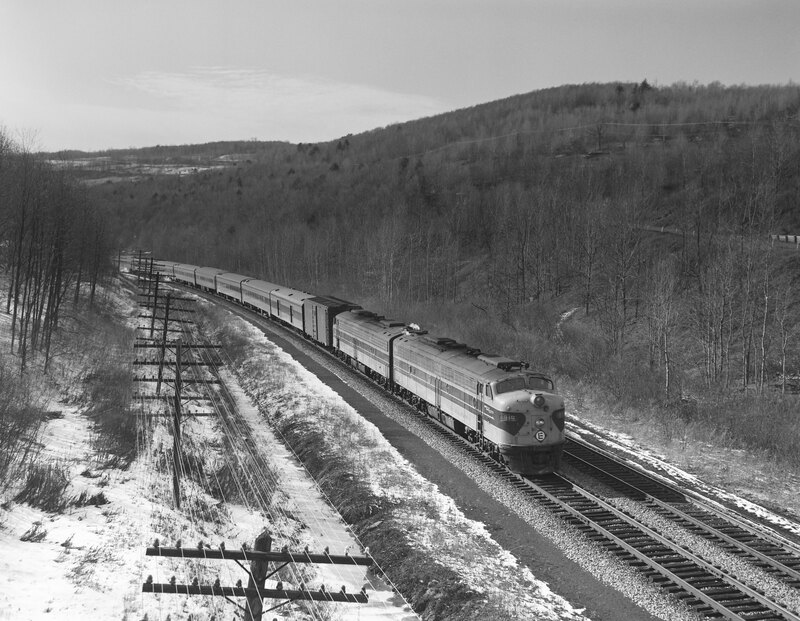 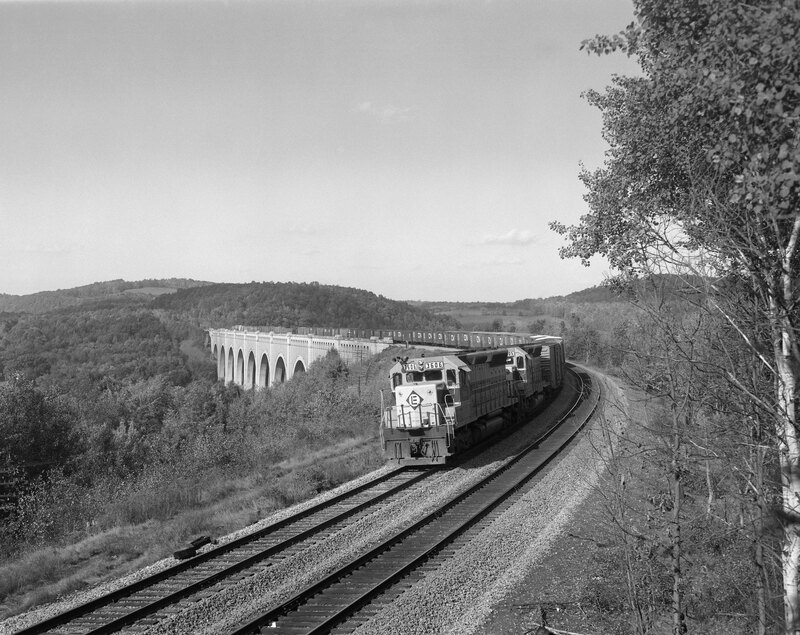 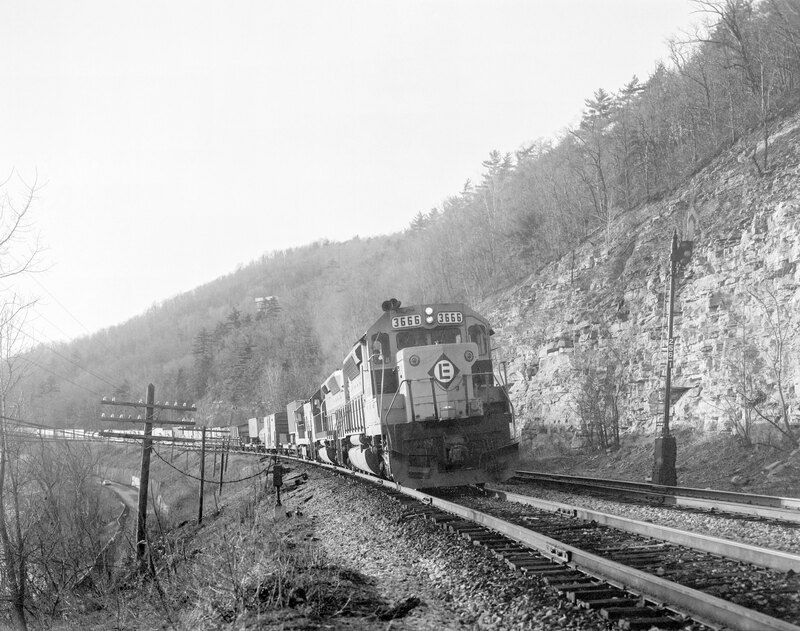 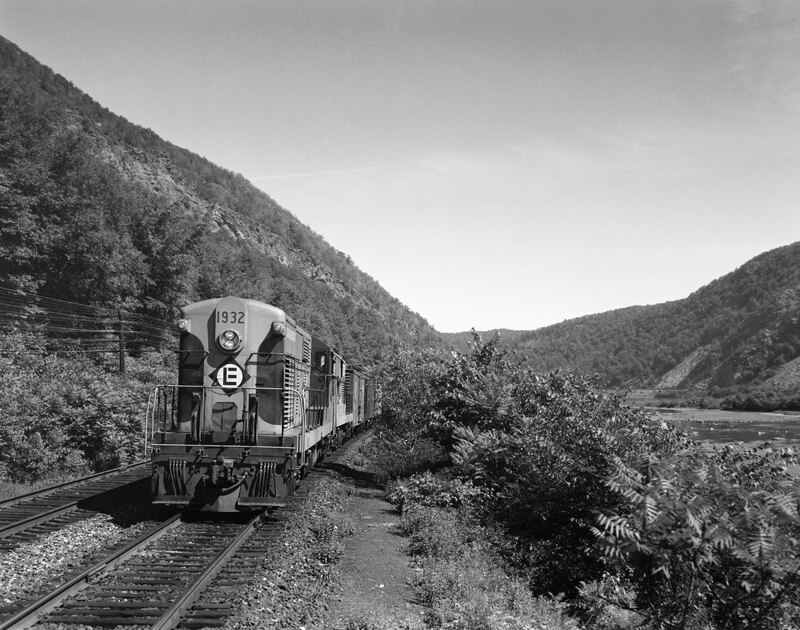 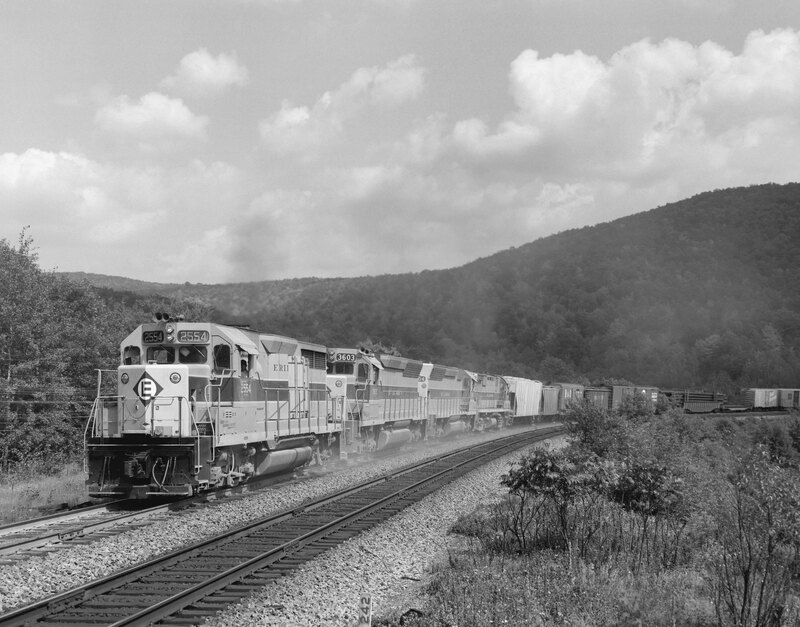 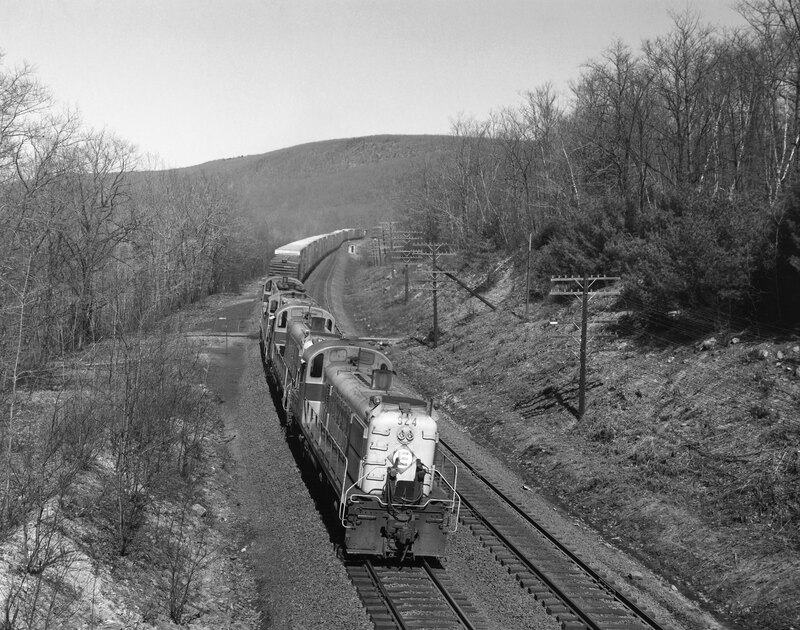 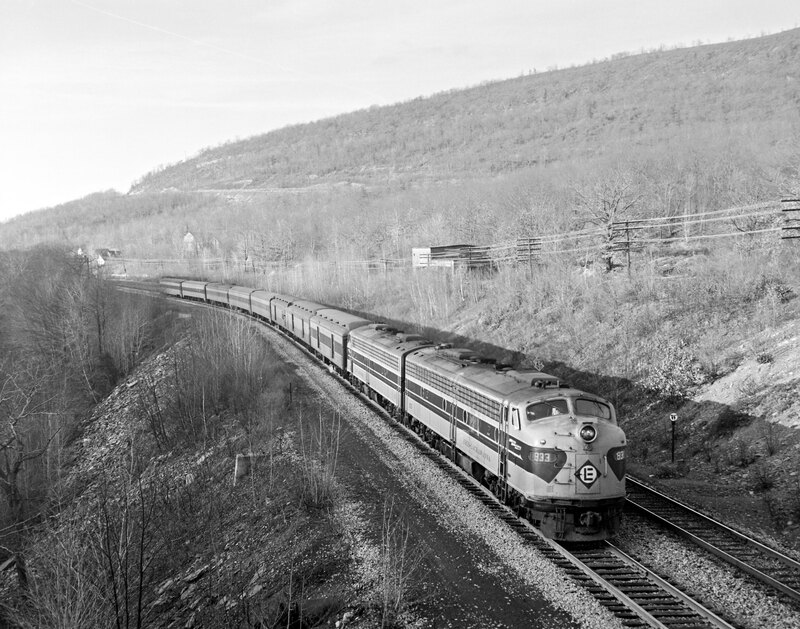 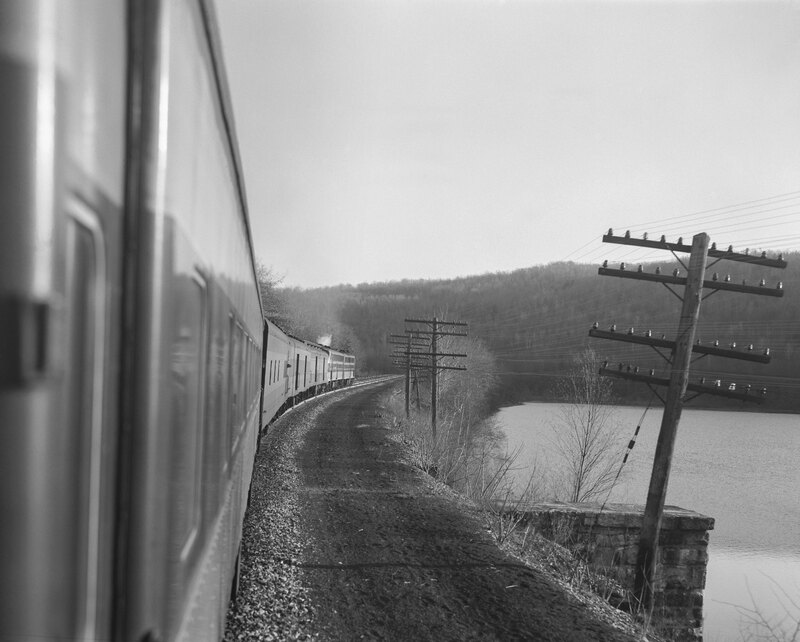 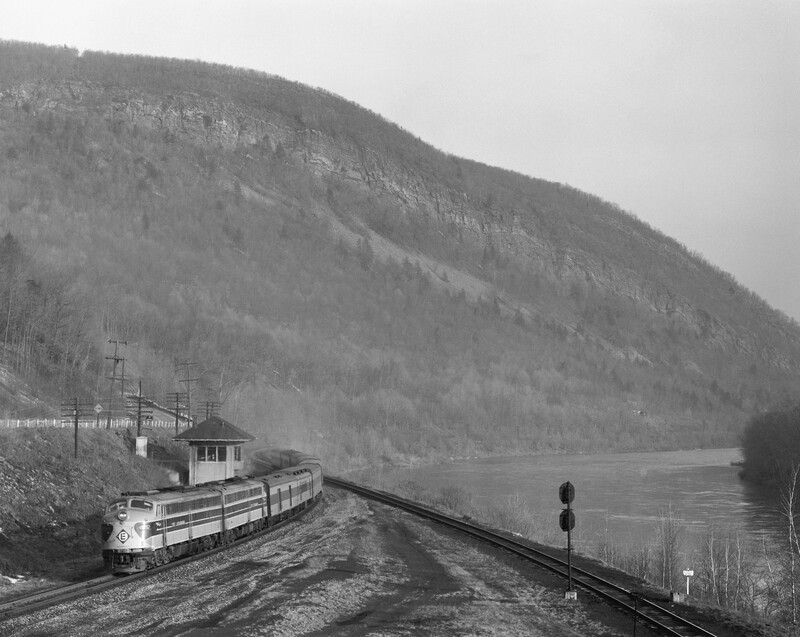 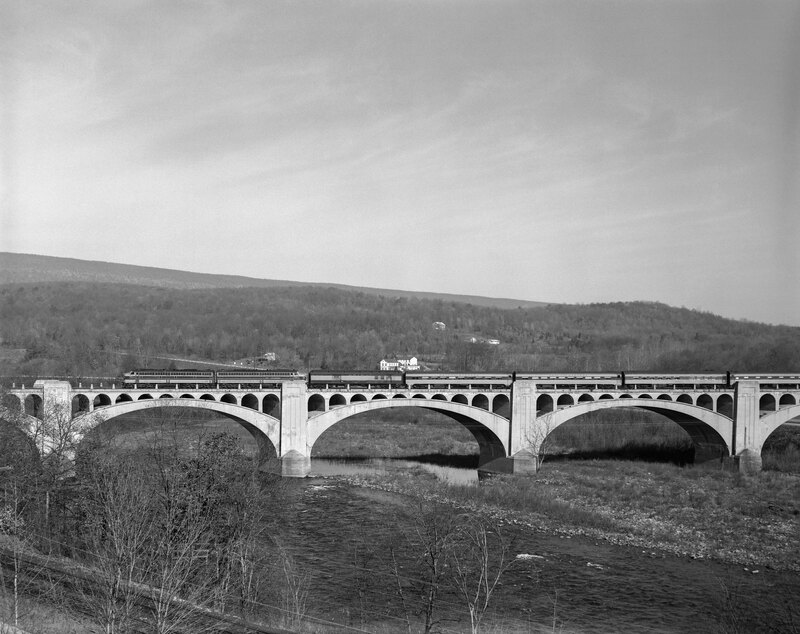 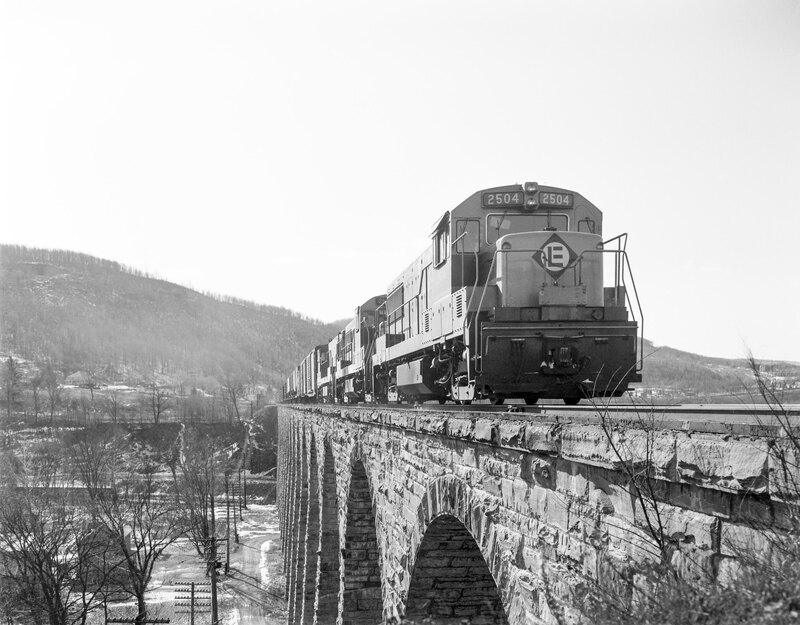 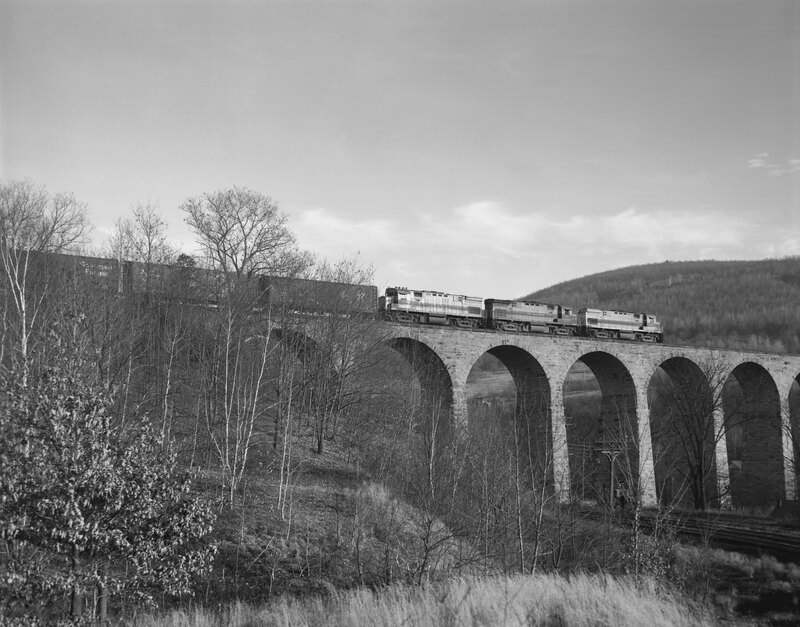 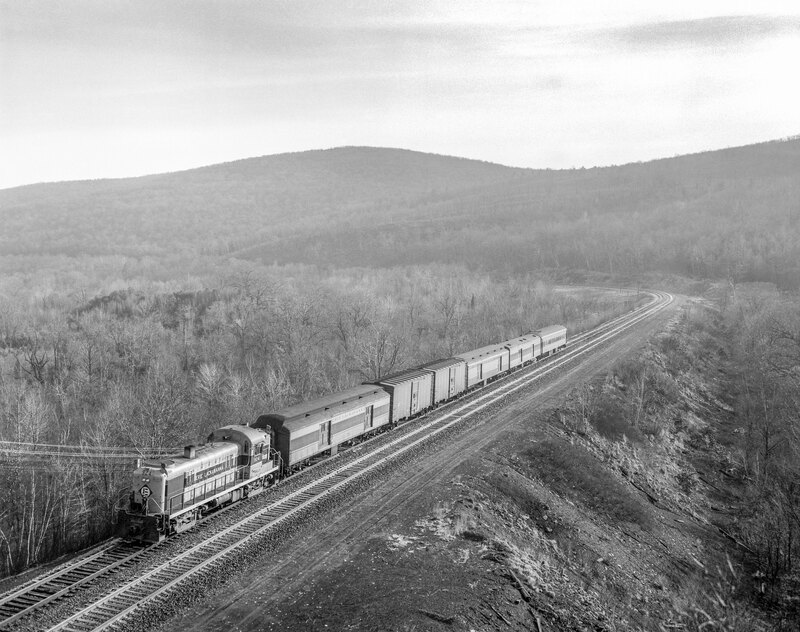 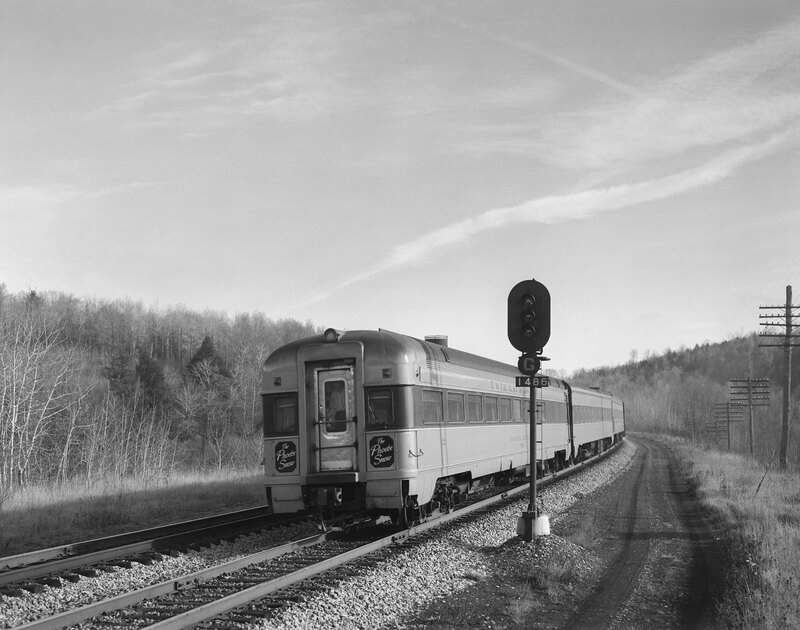 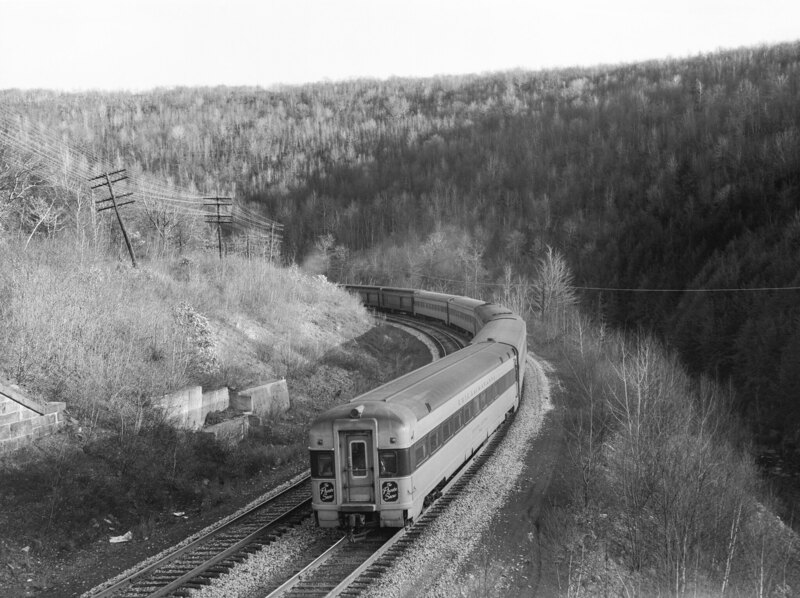 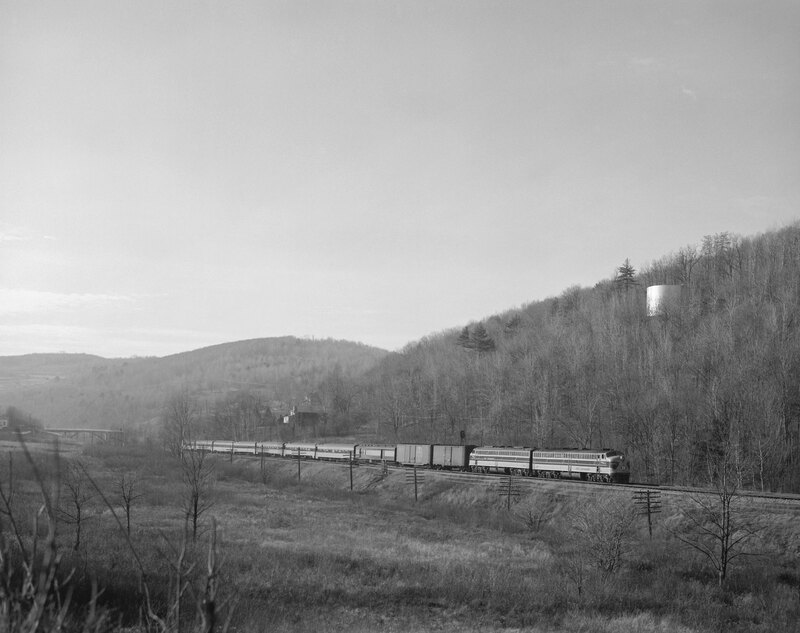 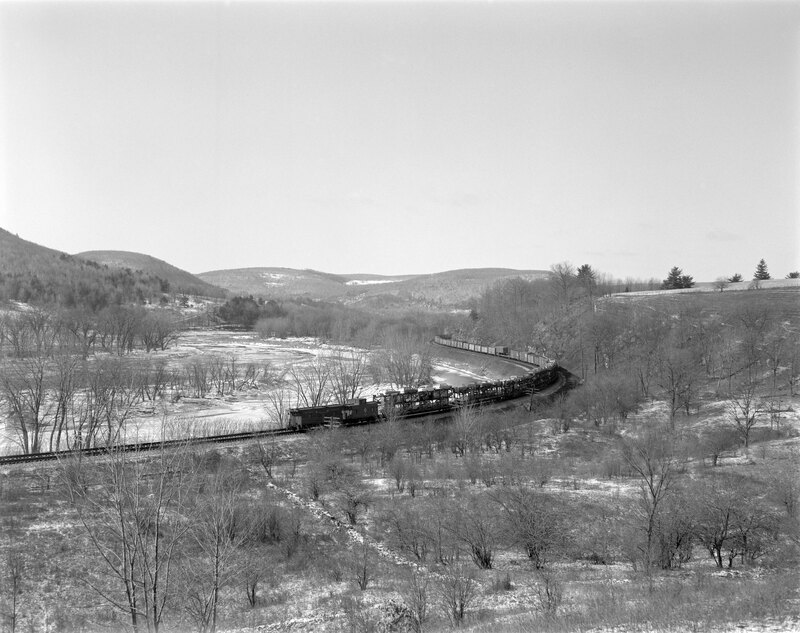 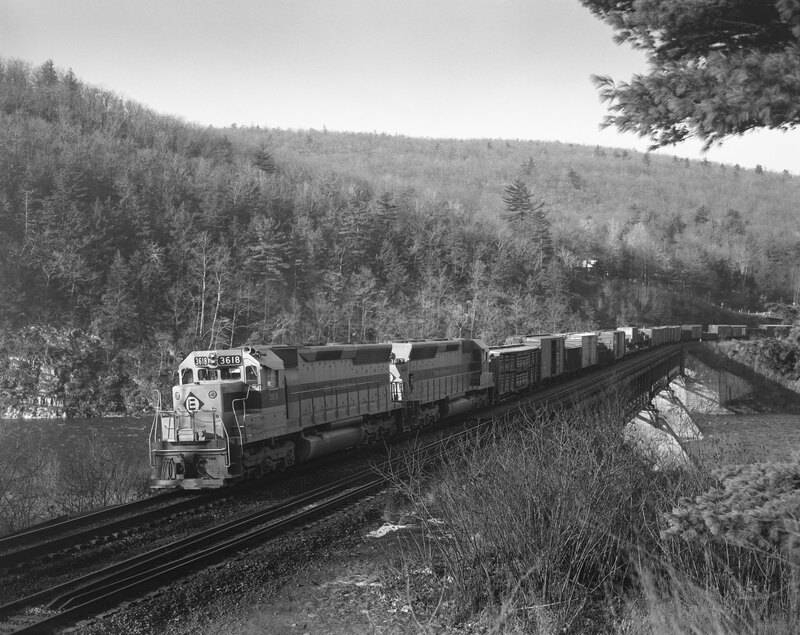 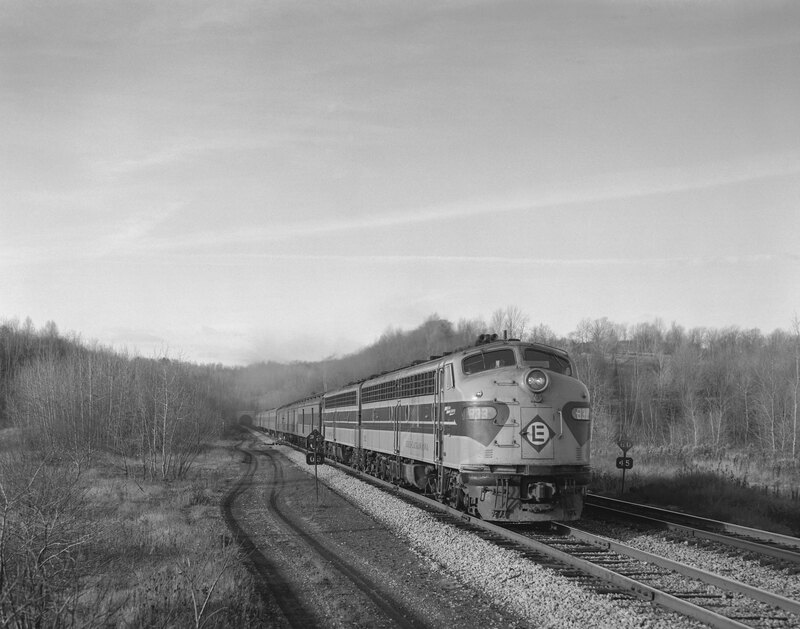 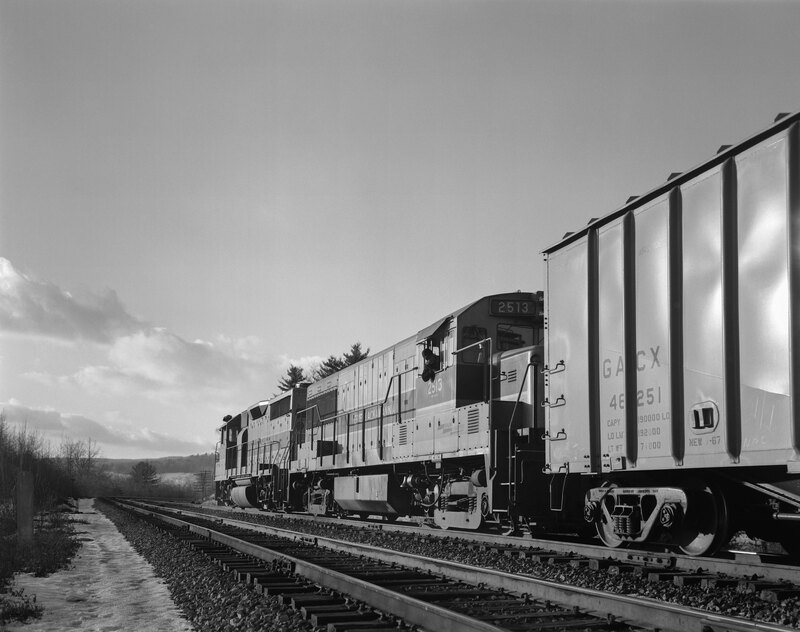 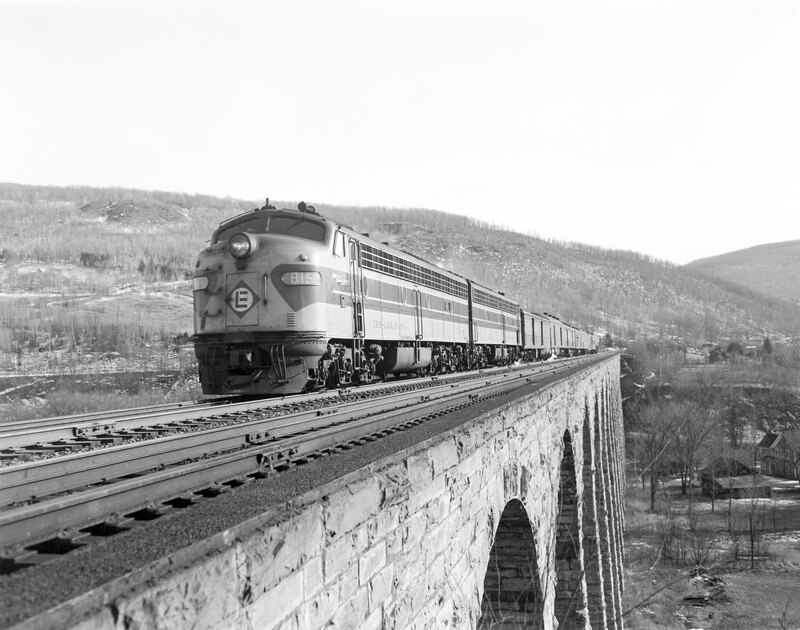 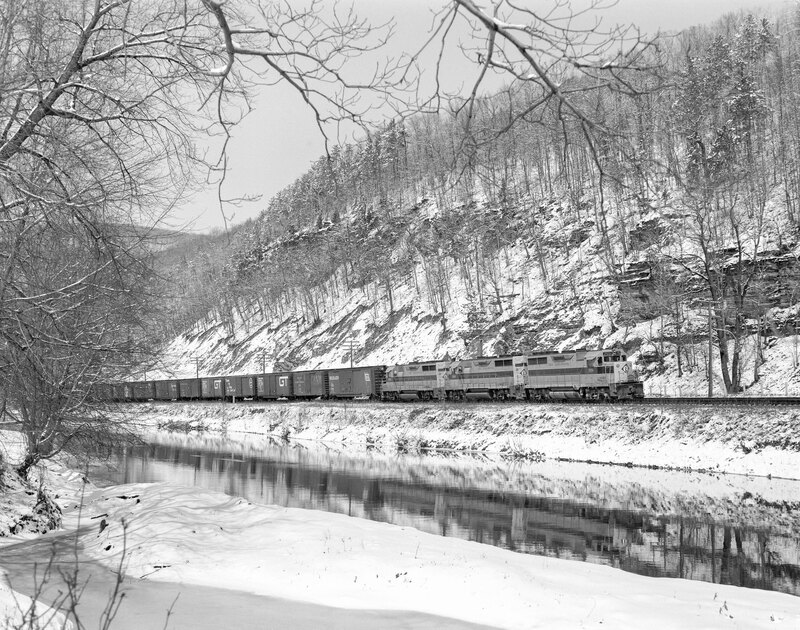 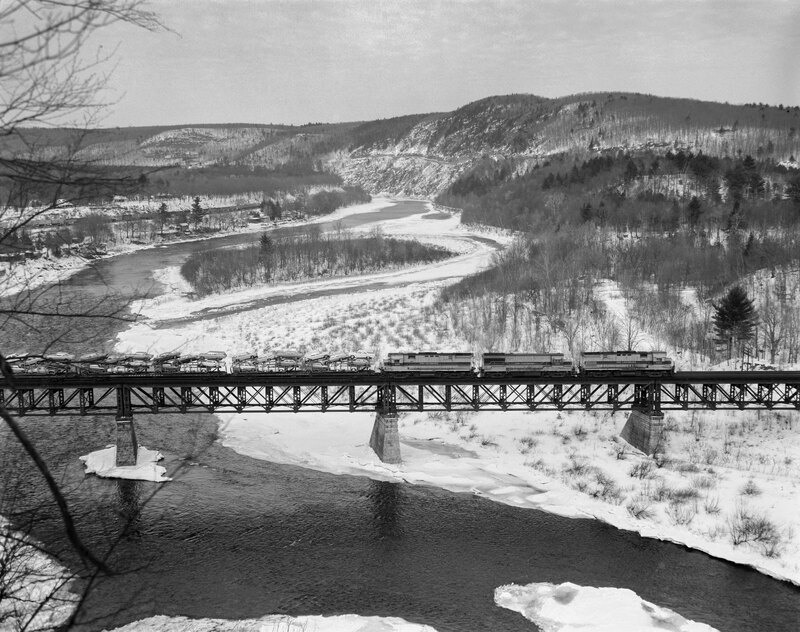 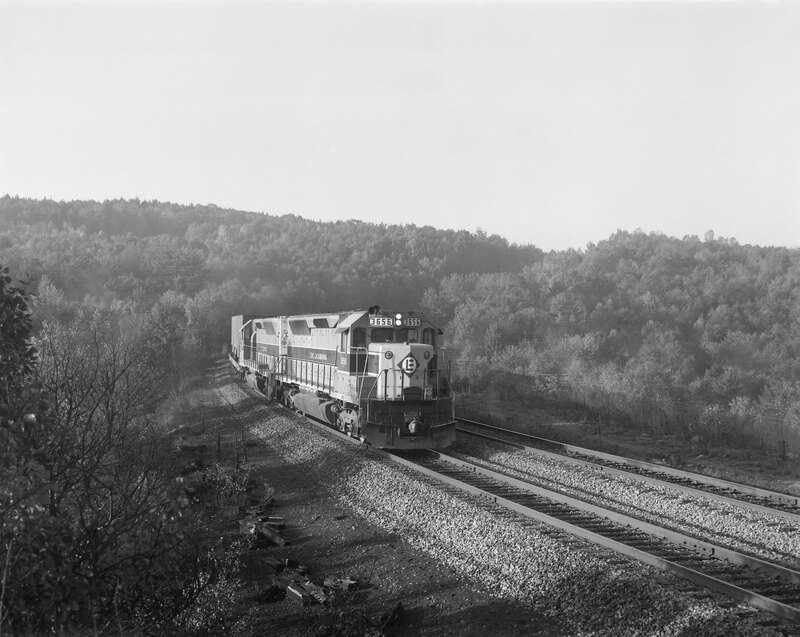 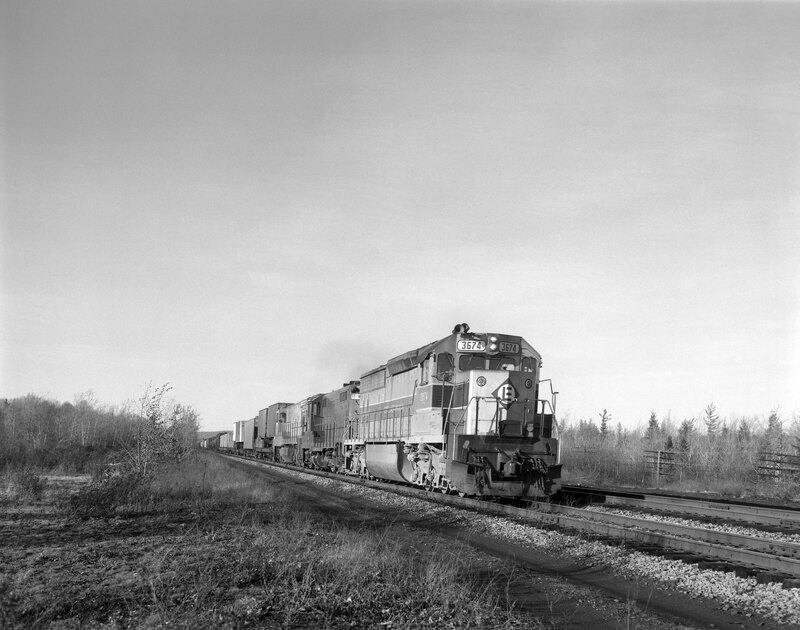 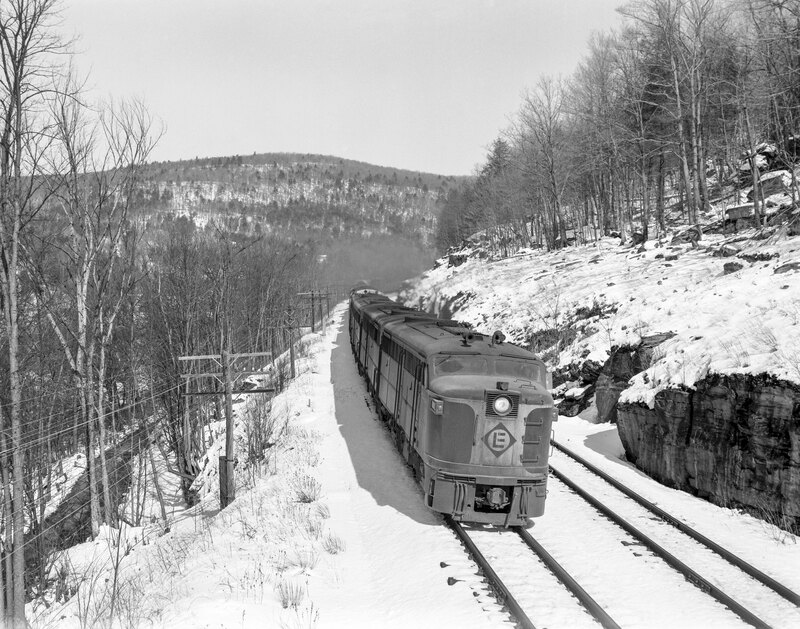 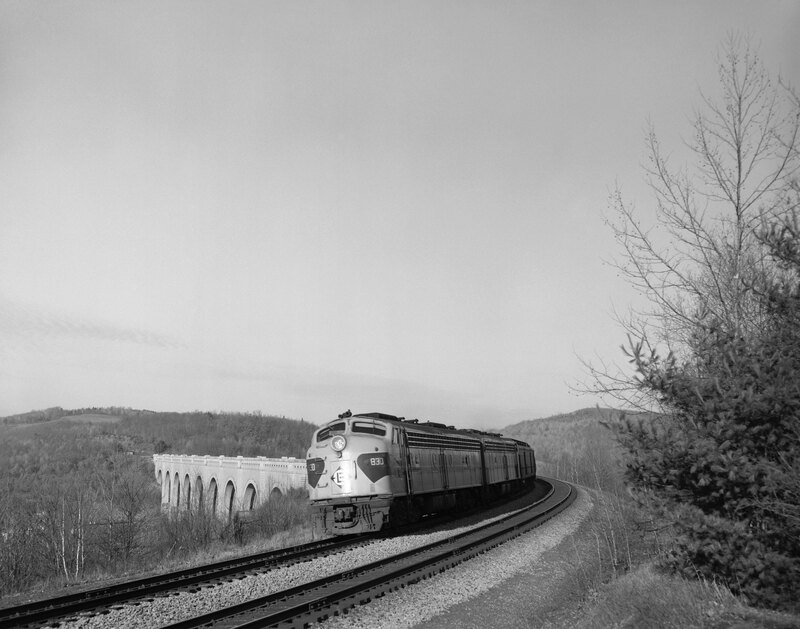 2574 leads eastbound freight near Lanesboro, Pennsylvania on January 21, 1968; Photograph by Victor Hand; Hand-EL-C30-016.